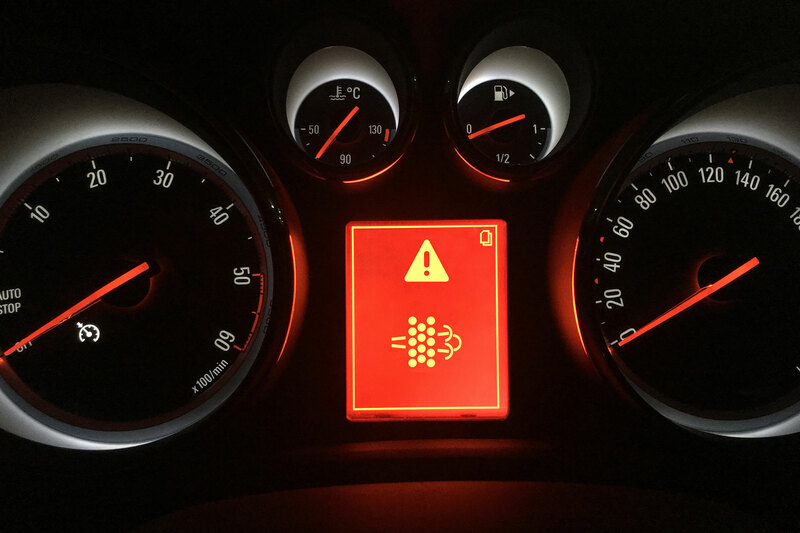 As cars get increasingly complicated, narrowing down what’s caused a warning light to illuminate can be tricky. Although you might need to connect a diagnostics tool for a more detailed diagnosis, this guide should you give an indication of what your car’s trying to tell you. 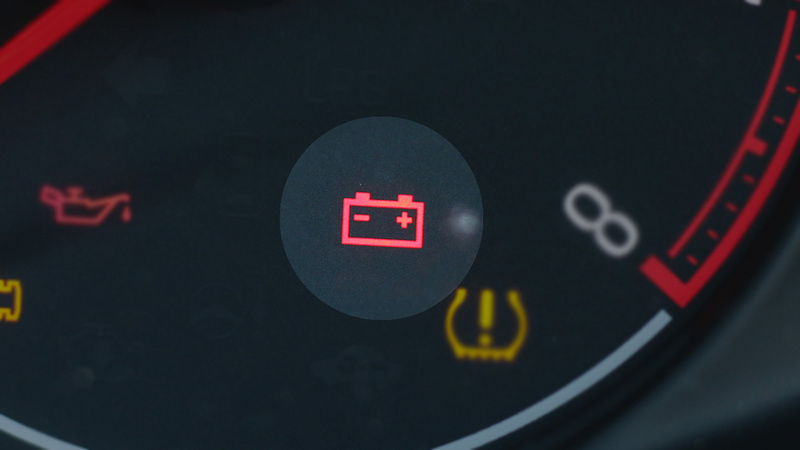 A red warning light in the shape of a square car battery showing positive and negative terminals indicates an issue with charging the battery. This could be a problem with the battery itself, or the alternator or alternator belt. 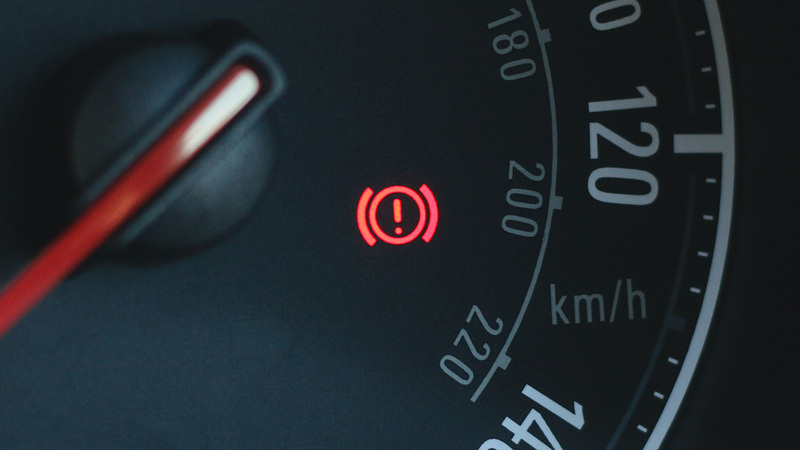 A brake warning light could be triggered by something as simple as the handbrake being on. 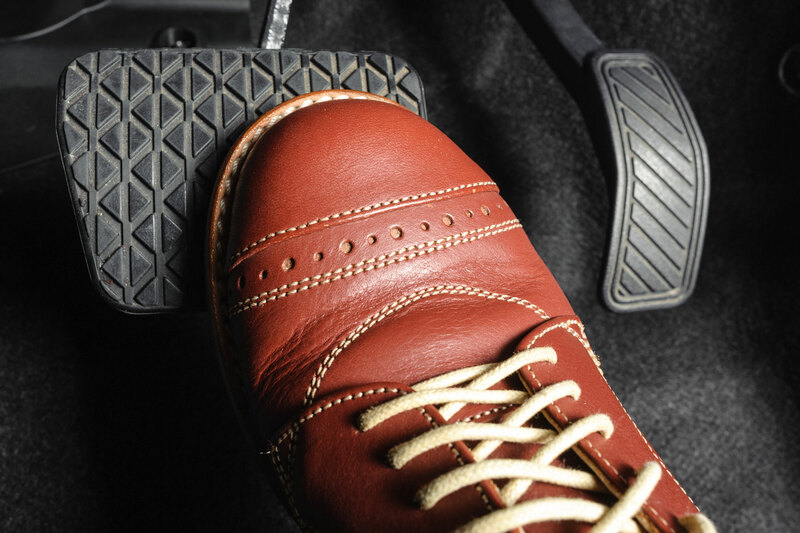 If it doesn’t turn off when you disengage the handbrake, check the brake fluid level or get a professional to look into it. A light which looks like an oil can signifies low oil pressure. 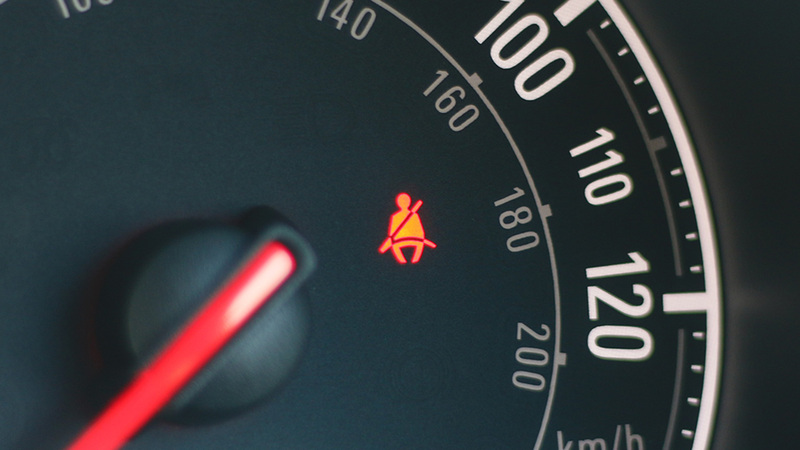 You should not drive with this light illuminated as it could cause damage to the engine. 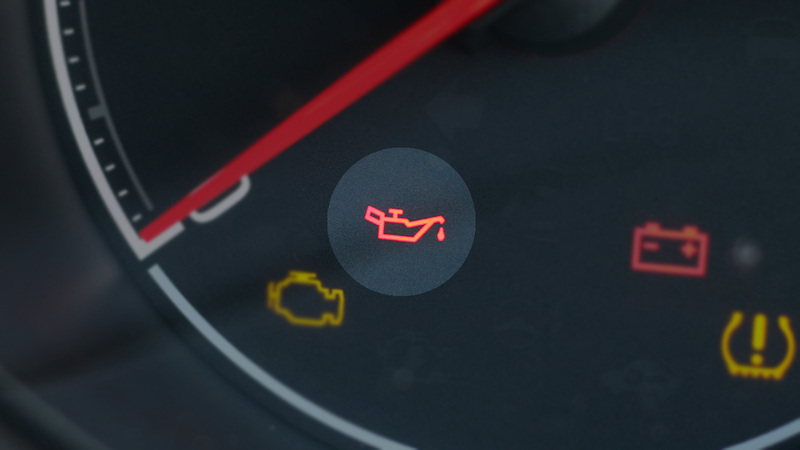 Turn the engine off and check the oil level – it may need topping up. Seek assistance if the light remains lit. A light showing a person sitting with a seat belt across their chest is warning you that someone in the car is not wearing their seat belt. If you don’t wear a seat belt and you haven’t got a valid reason why, you could be hit with a £100 on-the-spot fine. The driver is also responsible for any children aged 14 or under not wearing their seat belt. 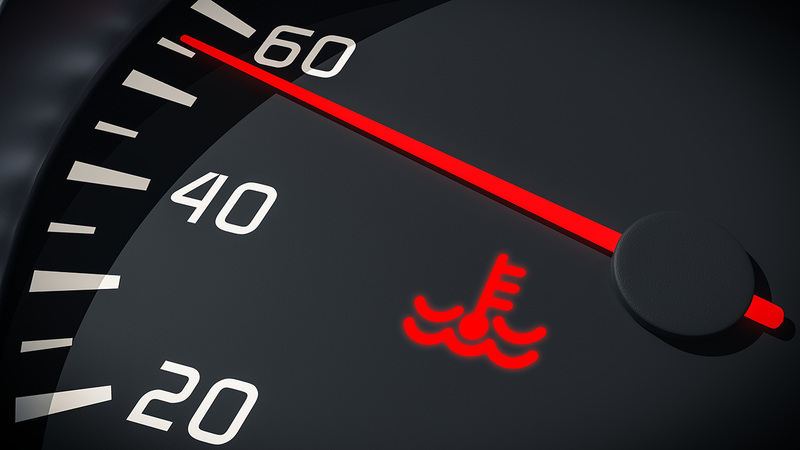 Although you should keep an eye on your car’s temperature gauge to identify any issues with its cooling system, some cars have a temperature warning light for when it gets hot. This looks like a thermometer with wavy lines. 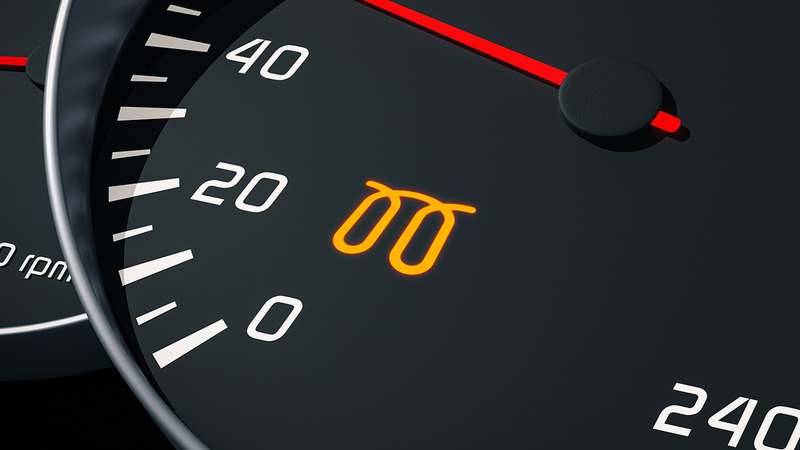 Like the oil pressure warning light, you should stop and turn off the car’s engine to prevent further damage. We’re now moving onto orange or yellow lights, which signify advice rather than urgent issues. 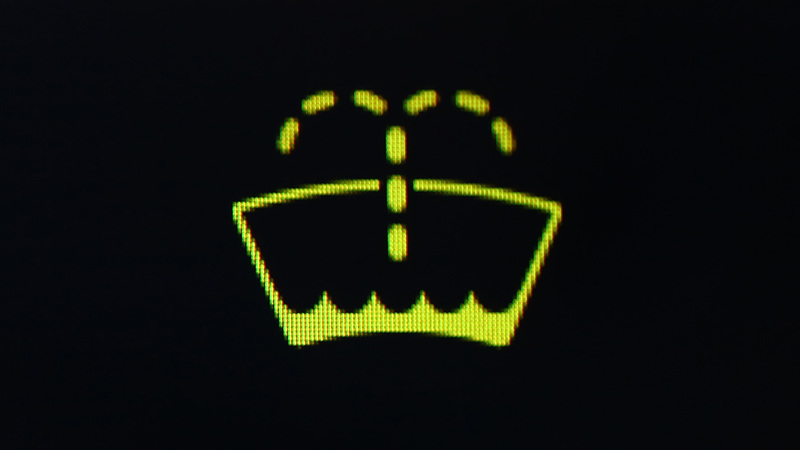 A shortage of washer fluid can trigger a warning light on some cars. Simply top up the washer fluid reservoir to turn the light off. 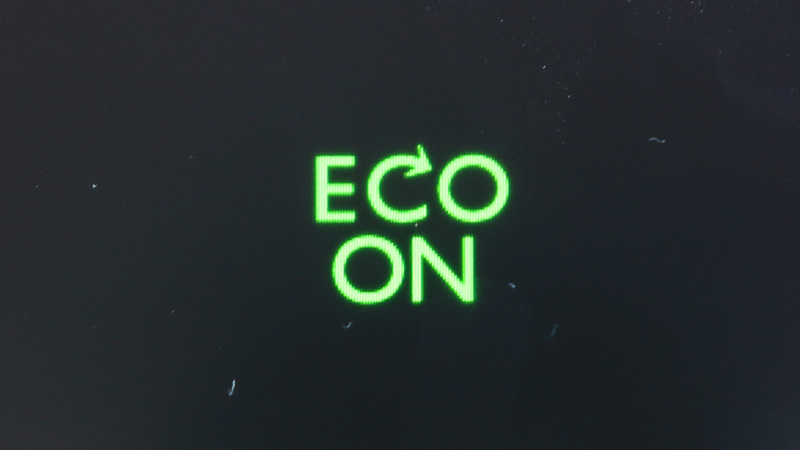 Occasionally you might see this light appear for a brief moment while driving. 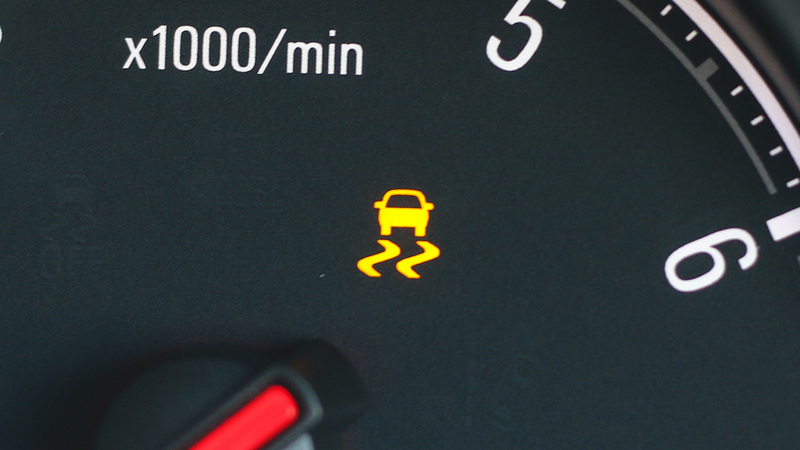 Most likely to appear in slippery or wet conditions, the traction or stability control light means the car is having to brake a wheel or cut power to prevent wheelspin. Driving more cautiously with the conditions in mind will prevent it appearing again. 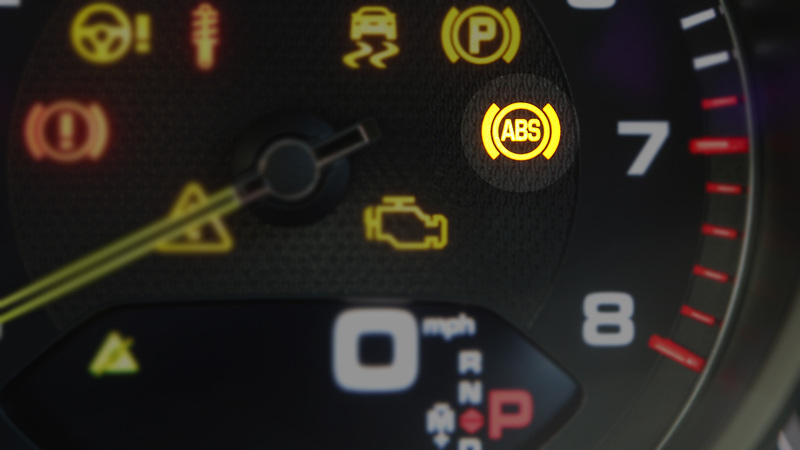 The ABS light is likely to come on during hard braking. This is when the anti-lock braking system is triggered. Essentially, during heavy braking the system will modulate the brakes to prevent the wheels locking up and causing a skid. Like traction control, if this kicks in while driving, adapt your driving to prevent it. 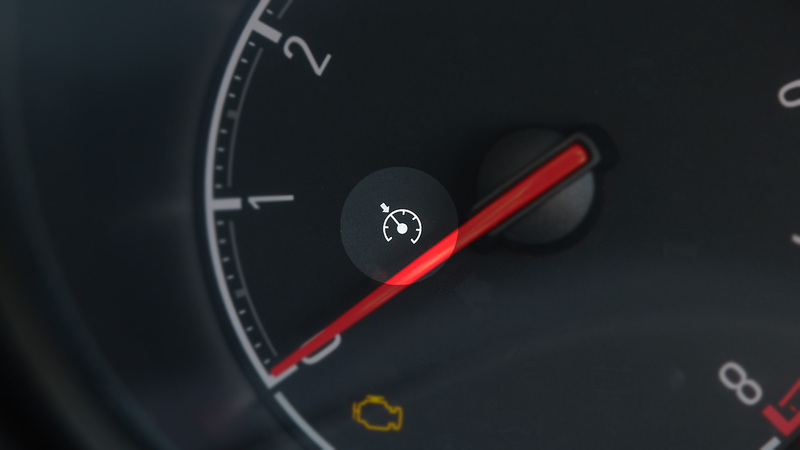 The engine management or ‘check engine’ light could mean a wide range of things from an open fuel filler cap to a serious engine problem. 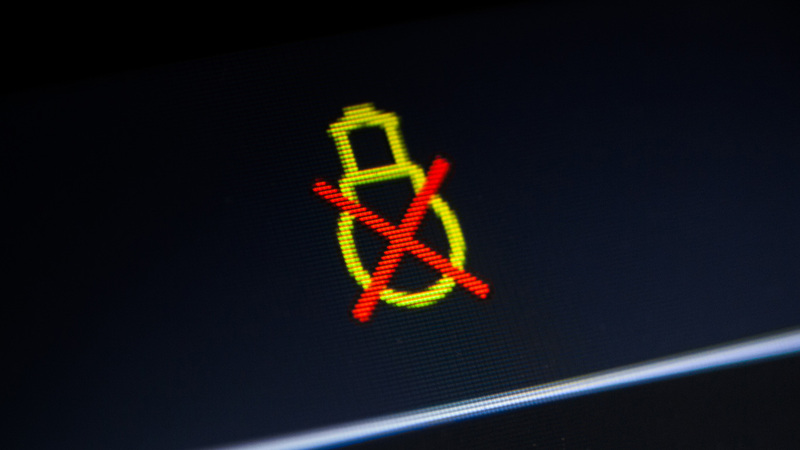 You’ll need to plug a diagnostics reader into your car to establish exactly what the issue is. If your car is fitted with lane assist to nudge you back into lane if your car starts to drift on the motorway, a light might display to show it’s enabled. 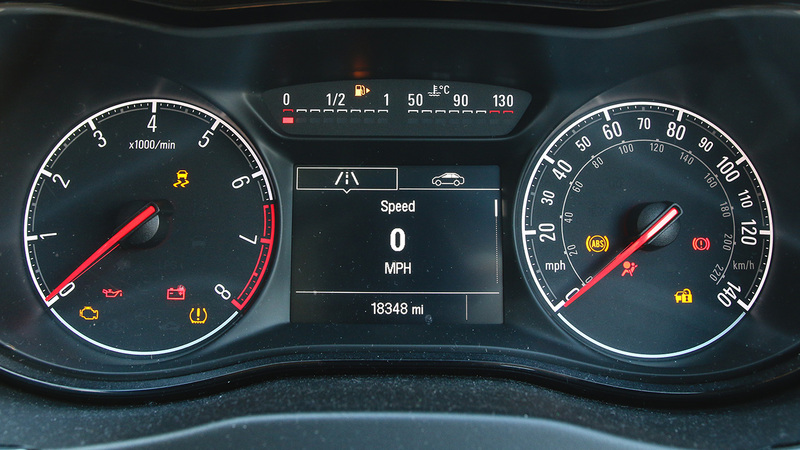 If your car is fitted with cruise control, a light showing a car’s speedo with an arrow pointing at it might display when the system is turned on. 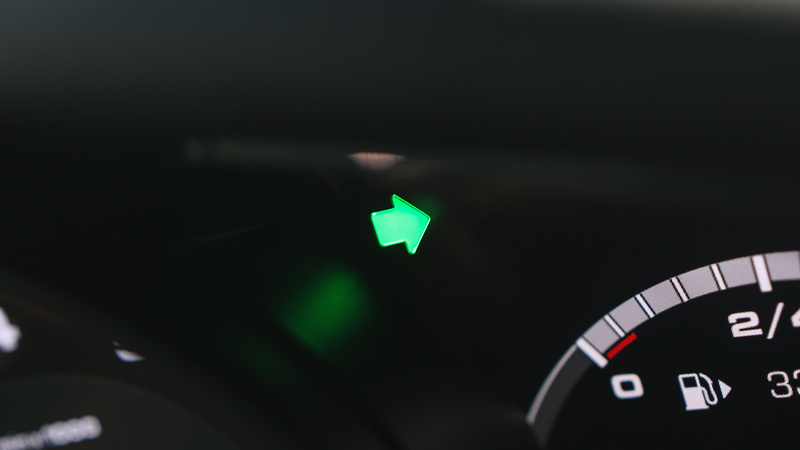 If you drive a diesel car, a glow plug light might display when you’re first turning it on. This means the glow plugs are warming up and the ignition shouldn’t be turned on until the light goes out. If the light flashes, it suggests a problem with the glow plugs. 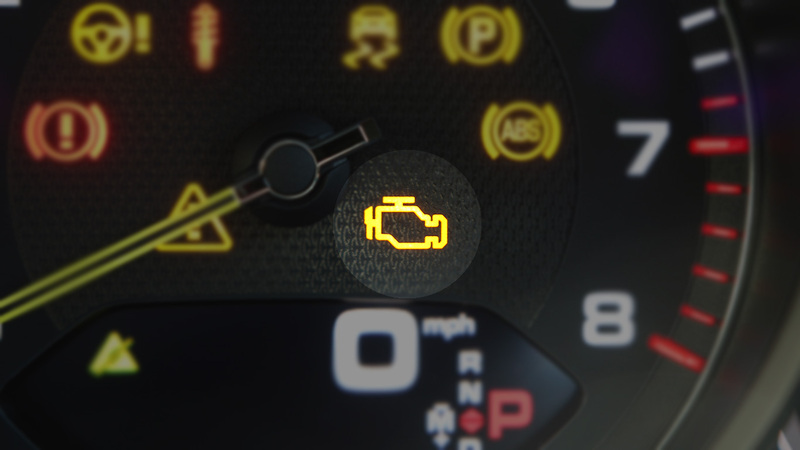 Some cars will display a warning light when they detect a failed bulb in one of the car’s lights. Replace the bulb to extinguish the light. 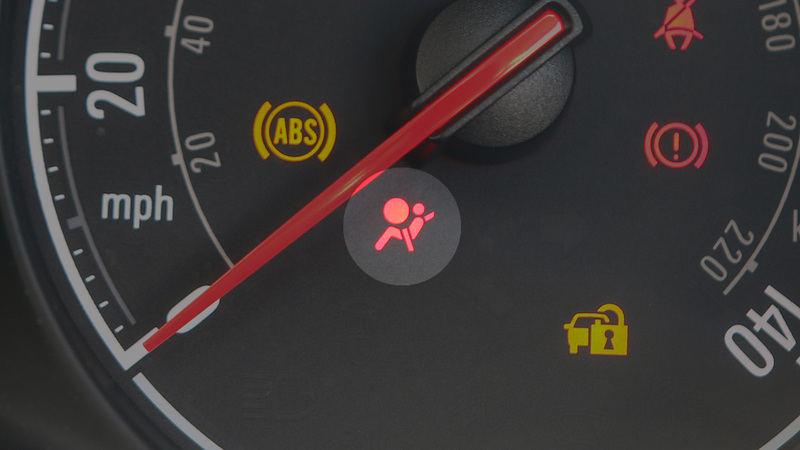 A light showing a person with a circle in front of them suggests there’s a fault with one of the car’s airbags. Investigate it as soon as convenient. 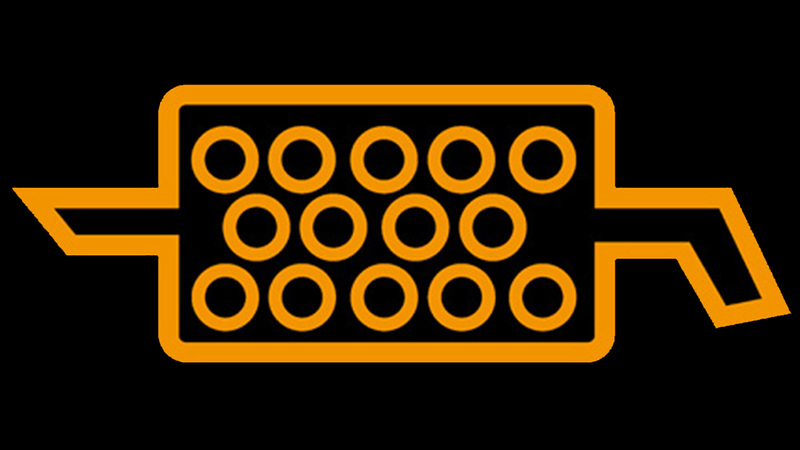 If you drive a modern diesel car, it might display a DPF light when the diesel particulate filter becomes blocked. This is most likely to happen if you do lots of short journeys at low speeds. 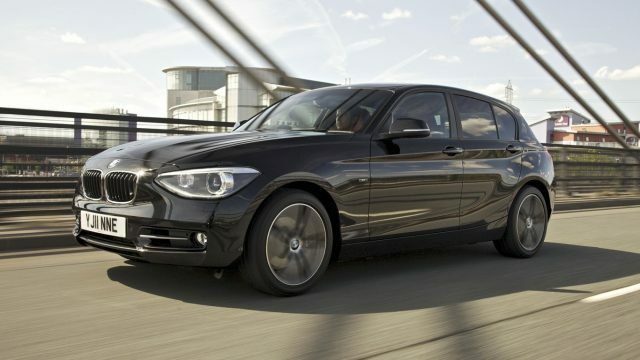 Allow it to regenerate by driving on a long motorway journey. 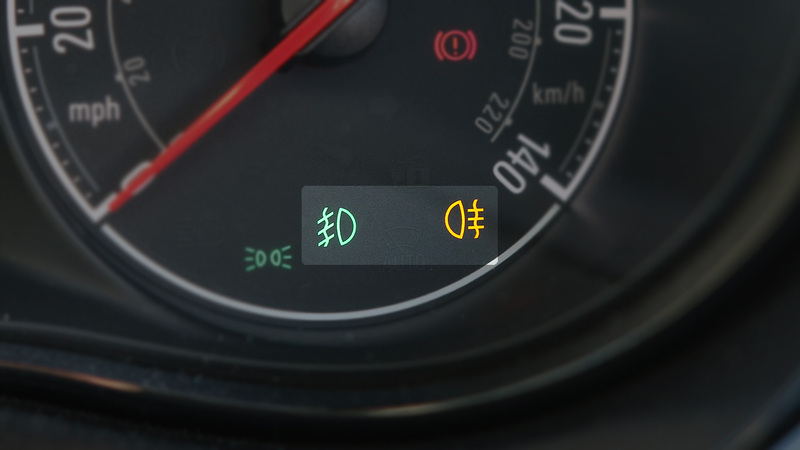 When you turn your indicators or hazard lights on, left or right arrows will display on the dash to show which way you’re indicating. 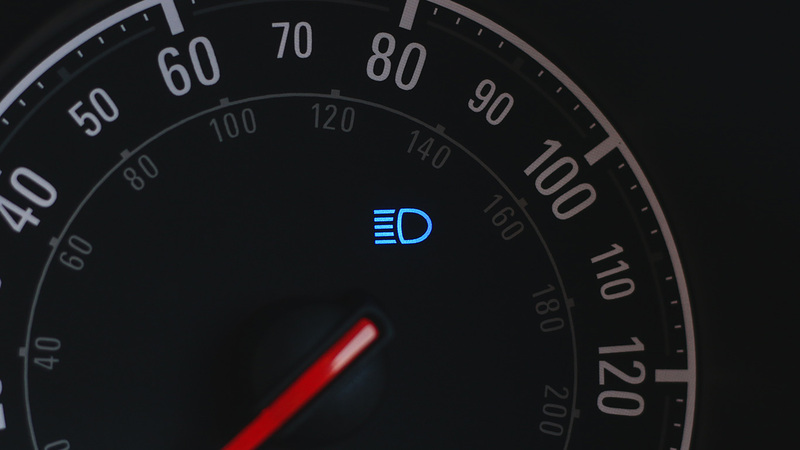 When you’ve got main beam engaged for driving in the dark, a blue light like the one in the picture above will display on your dash. You should make sure you dip your headlights when there are other cars about to prevent oncoming drivers being blinded. 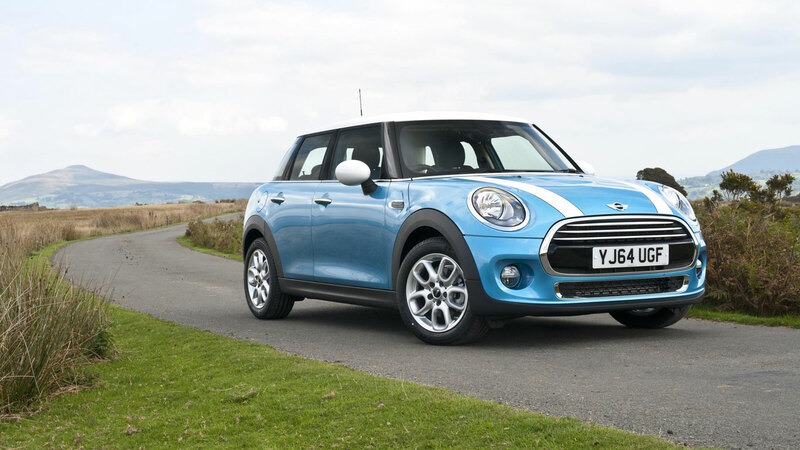 A curved ‘D’ shape next to wavy lines will indicate that your front or rear fog lights are turned on. These should only be used when visibility drops below 100 metres. An exclamation mark below a curved arrow relates to the car’s stop/start system. 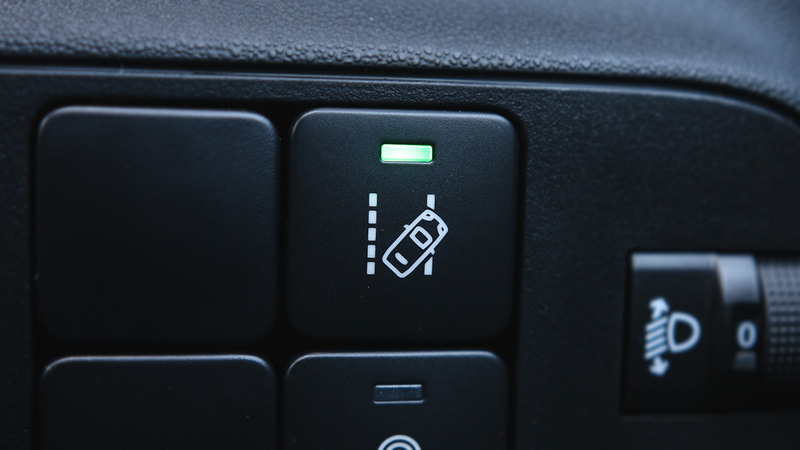 Depending on the car it could mean that the system is turned on, allowing the engine to turn off when the car’s stopped to save fuel, or turned off. It could also mean there’s an issue with it – consult your owner’s manual. 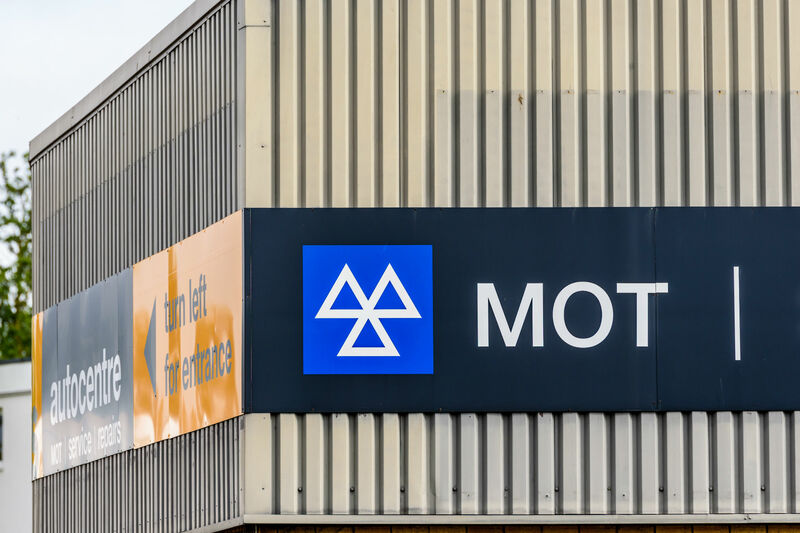 The current MOT system is to be scrapped from May 2018 – with a new, more challenging test taking its place. 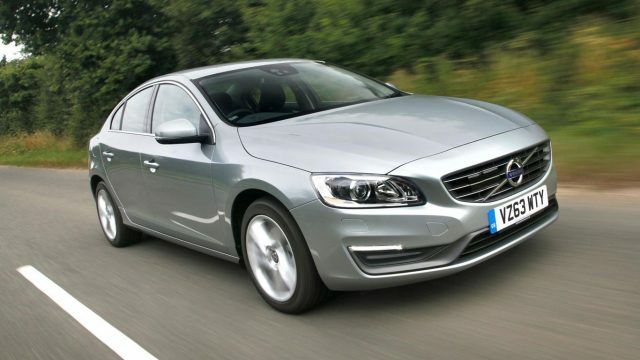 From 20 May, all cars being put forward for their annual test of roadworthiness will be examined under strict new rules. 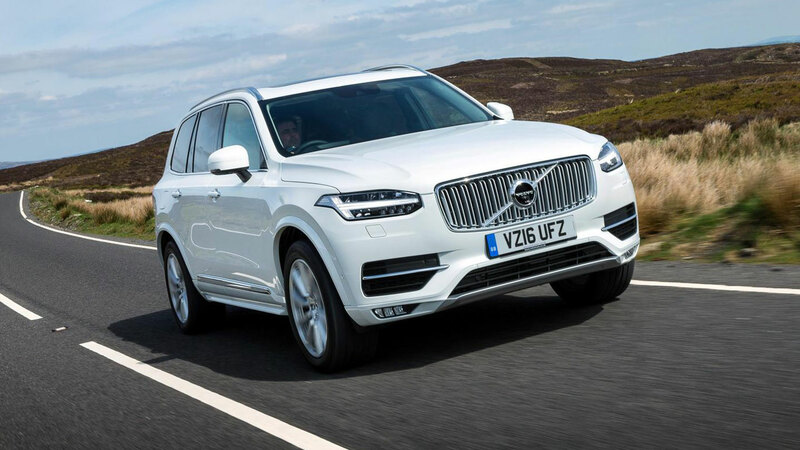 These will see faults graded depending on how dangerous they are, and greater emphasis placed on diesel car emissions. 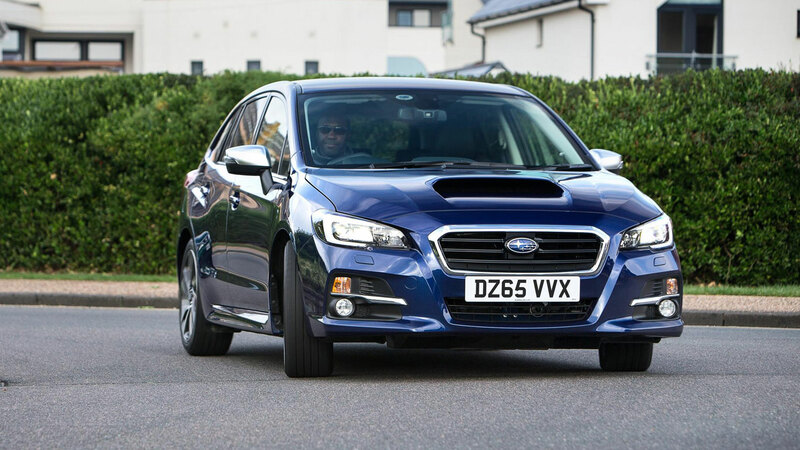 Currently, all cars on UK roads between three- and 40-years-old must be MOTed annually by an approved garage. Any major faults will result in a fail: these include things like tyres below the minimum tread depth, or CO2 emissions above a certain level. 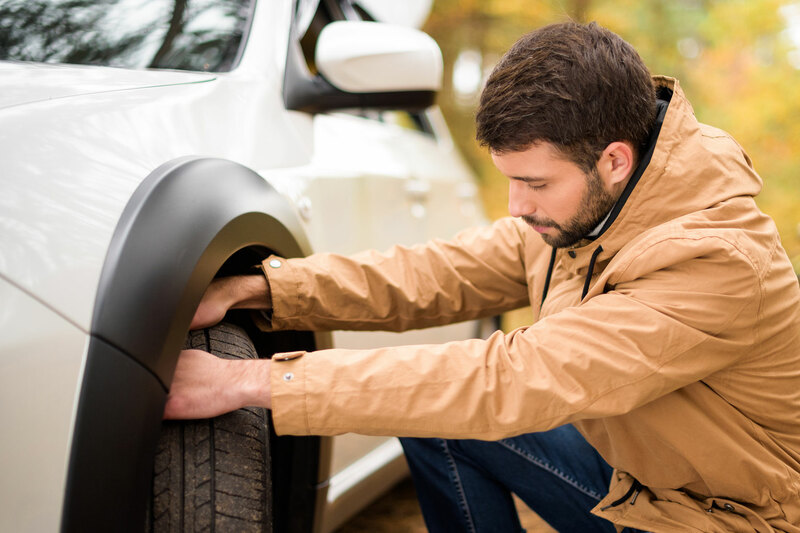 Other faults, classed as ‘advisories’ include things like worn tyres (but not below the 1.6mm minimum tread depth) or rust that doesn’t affect the structural integrity of the vehicle. 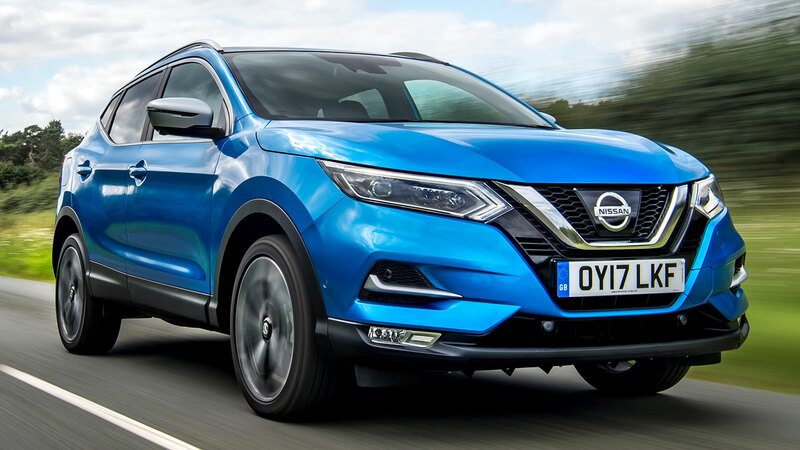 The idea is that car owners should consider fixing these issues – especially as they may get worse over time – but they don’t prevent the vehicle being roadworthy at the time of the test. The new rules essentially rename ‘advisories’ as ‘minor faults’. 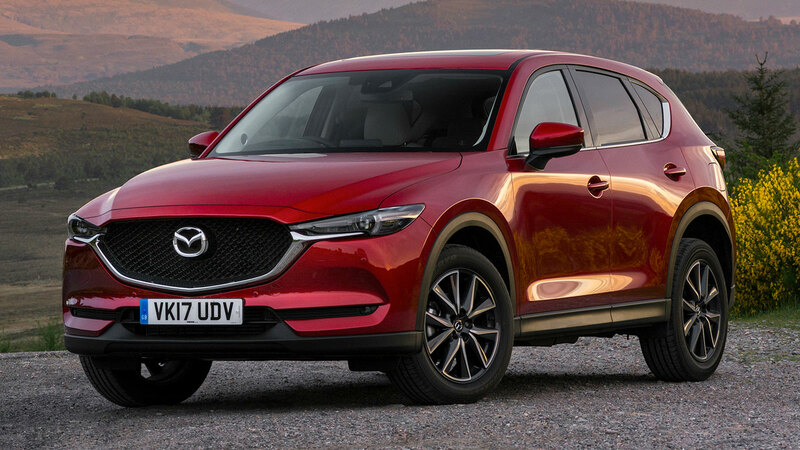 They work in the same manner – issues that they owner needs to be aware of, but things the tester has no qualms over allowing the car’s owner to drive away with. However, other faults will now be split between ‘dangerous’ and ‘major’ faults. 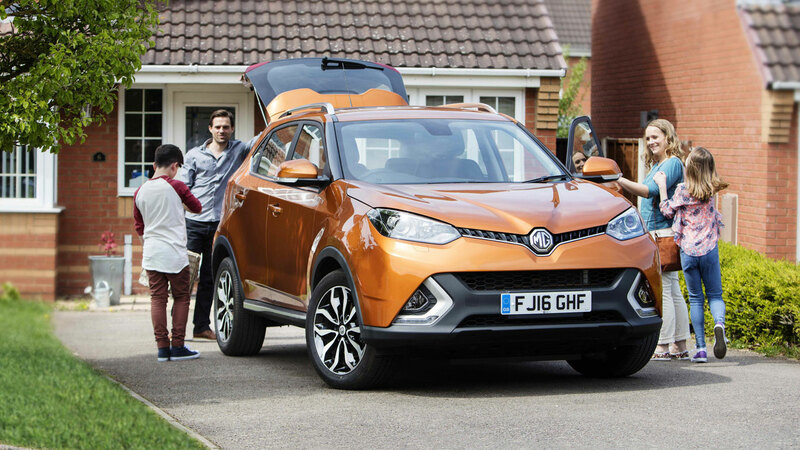 The former will include things that make the car dangerous to drive away from the garage – even if it’s to be repaired or if the existing MOT is still valid. 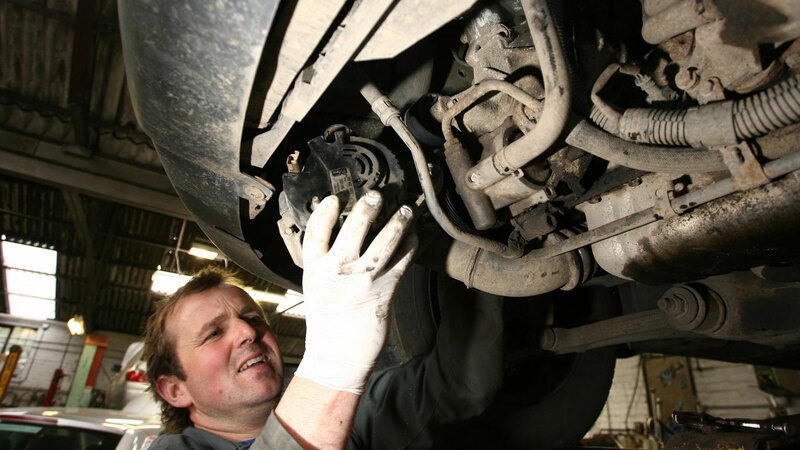 Major faults, meanwhile, will trigger an MOT fail but won’t be flagged up as dangerous. 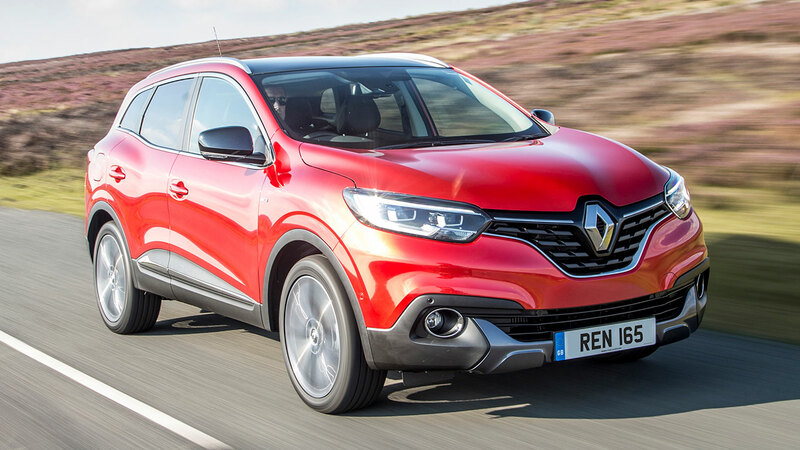 The changes, which are being brought in to meet a new EU directive, have attracted criticism from motoring organisation the RAC. 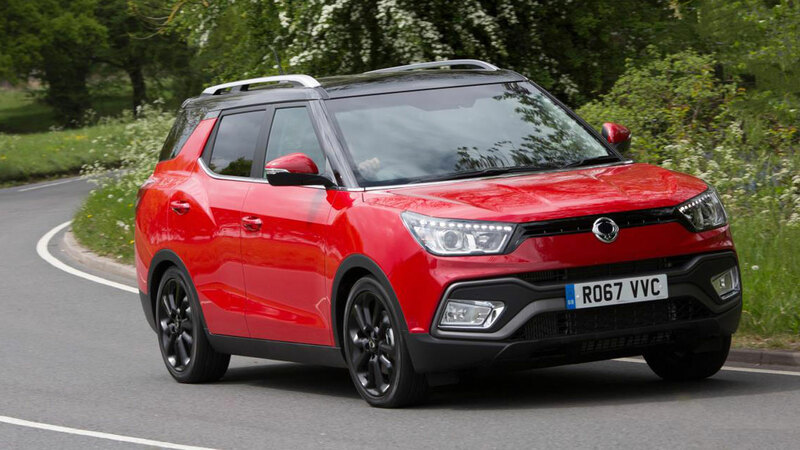 “While on the surface this change seems like a sensible move, we fear many motorists could end up being confused by the new categories which give an indication as to the seriousness of vehicle defects identified in an MOT test,” said RAC spokesman Simon Williams. 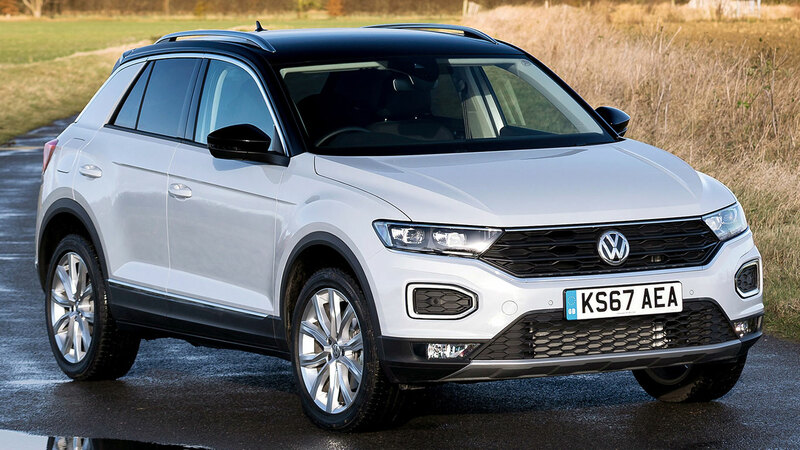 “Rather than MOT failures simply being black and white, the new system creates the potential for confusion as testers will have to make a judgement as to whether faults are ‘Dangerous’, ‘Major’ or ‘Minor’. This will surely be open to interpretation which may lead to greater inconsistency from one test centre to another. 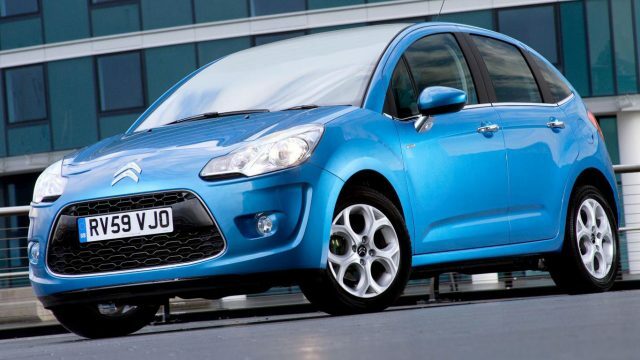 There will also be new rules for diesel cars which could make it more difficult to pass the MOT test. 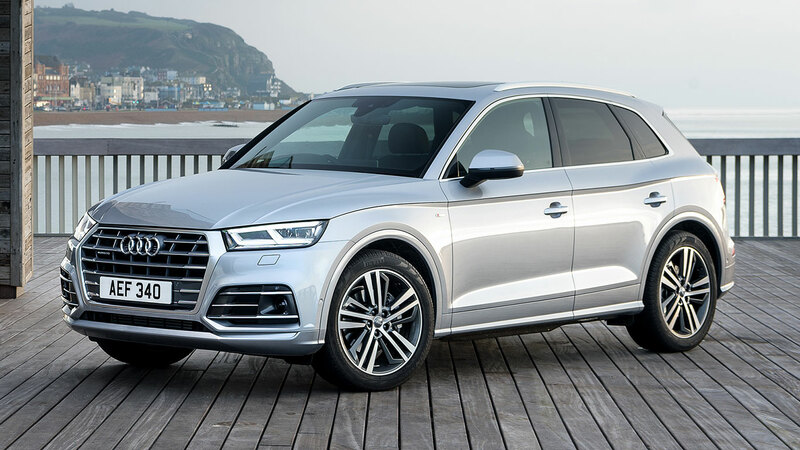 Vehicles emitting ‘visible smoke of any colour’ will be issued with a major fault and therefore an instant fail, while cars with diesel particulate filters that have been removed or tampered with will also fail. That’s unless the owner can prove that amendments have been made to clean the filter. 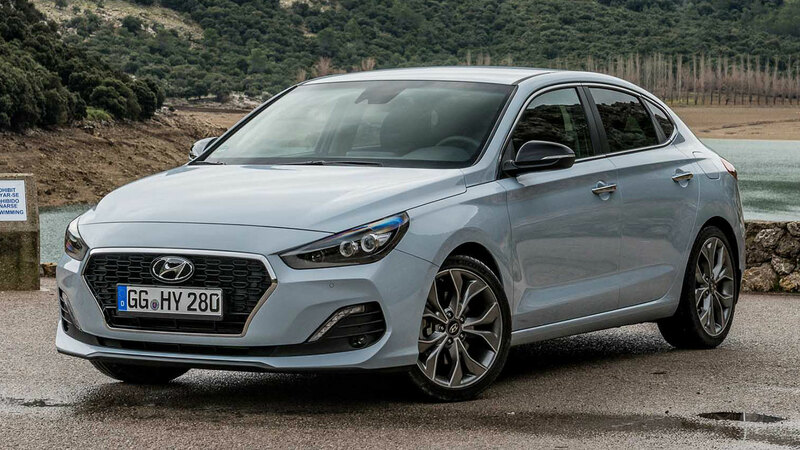 Buy a new car and it’s likely to come with a three-year warranty, but many manufacturers will offer extended warranties for an additional premium. 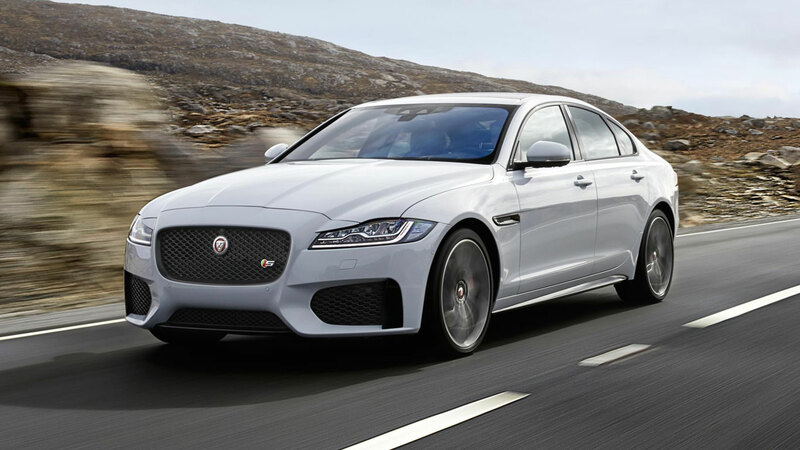 Alternatively, some new cars will be covered for five or even seven years, providing peace of mind until as late as 2025. But what do you do when the warranty expires? You’re faced with three choices: sell the car, chance your arm, or opt for an aftermarket warranty. 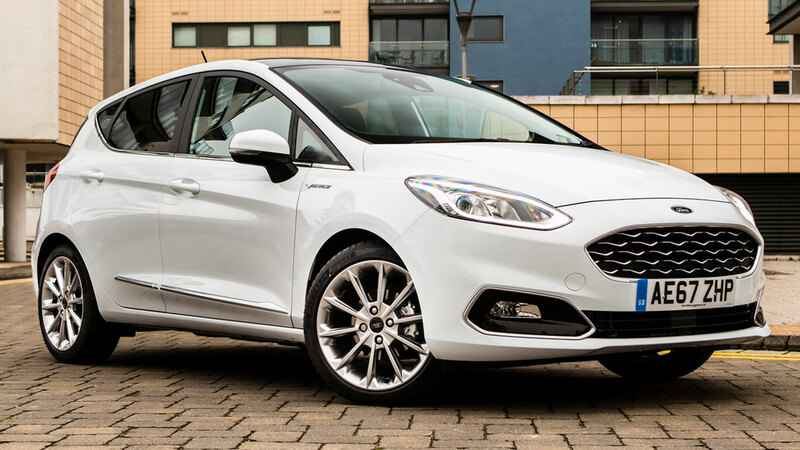 Typically, you’ll pay anything from £100 to £500 a year, but in return you’ll be covered in the event of the failure of mechanical or electrical parts. Warrantywise has just released details of the top 10 car repair bills it paid in 2017, and the costs will send shockwaves through your wallet. All photos used are for illustrative purposes only. 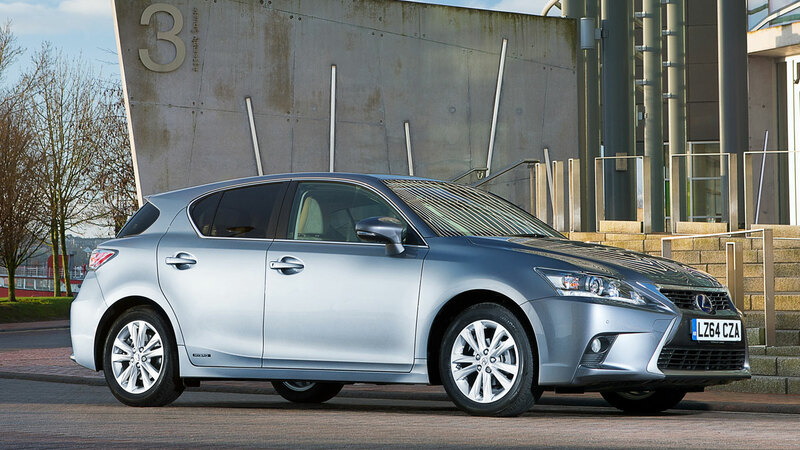 It’s worth pointing out that not all aftermarket car warranties are created equal. There are a number of different options out there, offering various levels of protection. Many will cover the major mechanical and electrical parts, but others might include protection against MOT failure and multimedia malfunction. 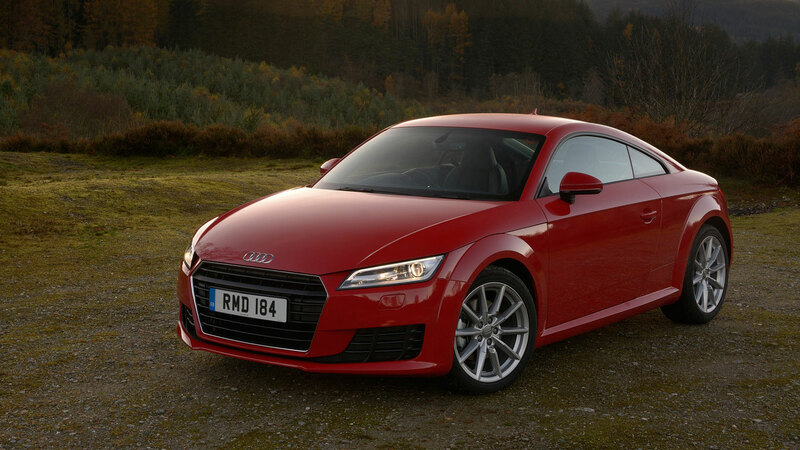 In 2017, Warrantywise paid just over £5,000 when an engine failed on an Audi TT. 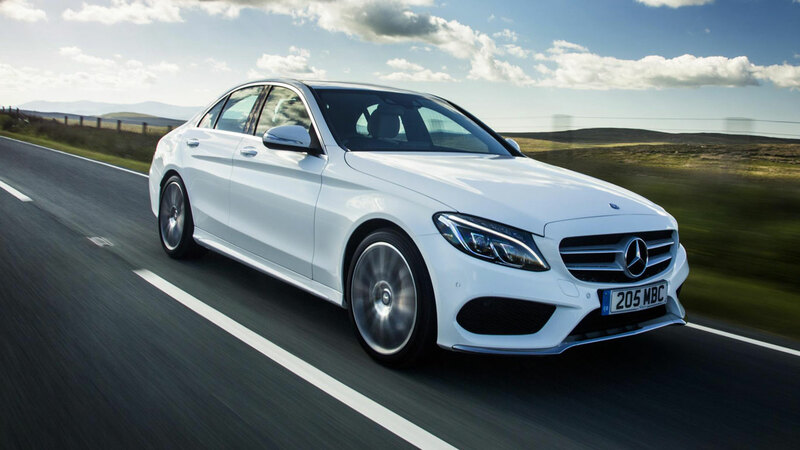 A similar figure was paid out for failure of the sensors on a Mercedes-Benz C-Class. 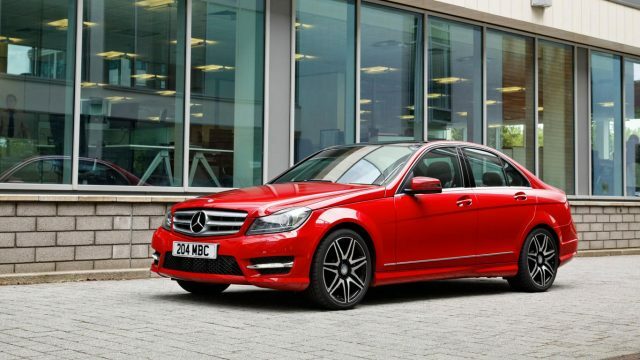 We took a look on the Warrantywise website, where we were quoted £2,000 for a three-year warranty on a 2014 Mercedes-Benz C220. 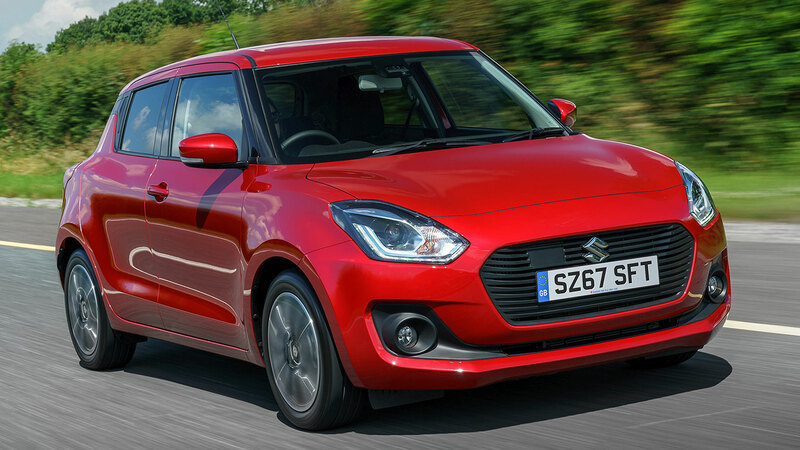 This includes a garage labour rate of up to £35 an hour and a single repair limit of £5,000. 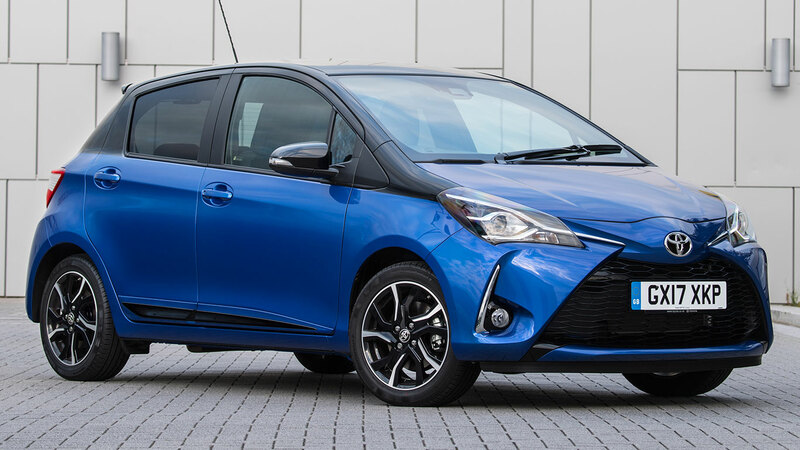 Increase these rates, and add the likes of multimedia, MOT and emissions cover to the package, and the cost will increase. 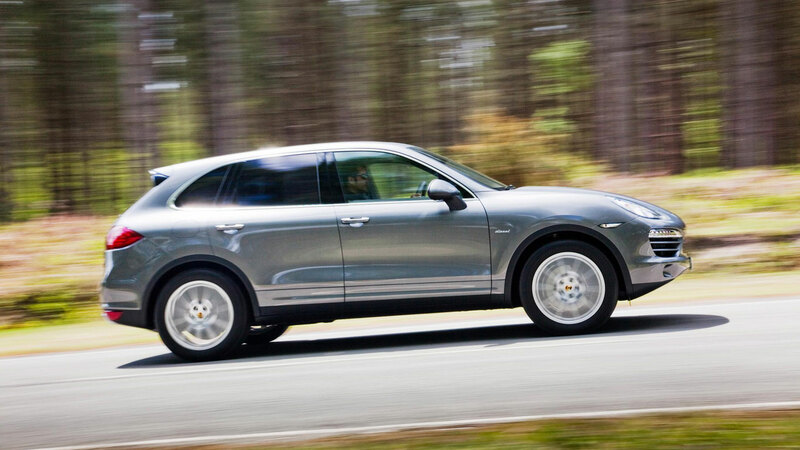 Even something that appears to be a relatively minor issue can cost an arm and a leg to repair, like the £5,500 it cost to repair the oil leak on a Porsche Cayenne. If this doesn’t encourage you to investigate the cause of that puddle on your driveway, nothing will. 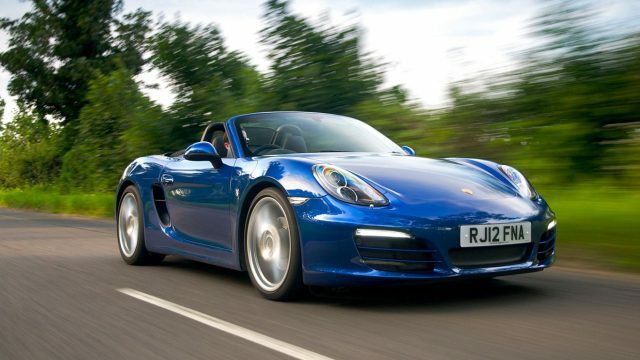 You wouldn’t buy a Ferrari 599 expecting to see running costs on a par with a Ford Fiesta, but finding £5,745 at the drop of a hat would be a stretch for most people. 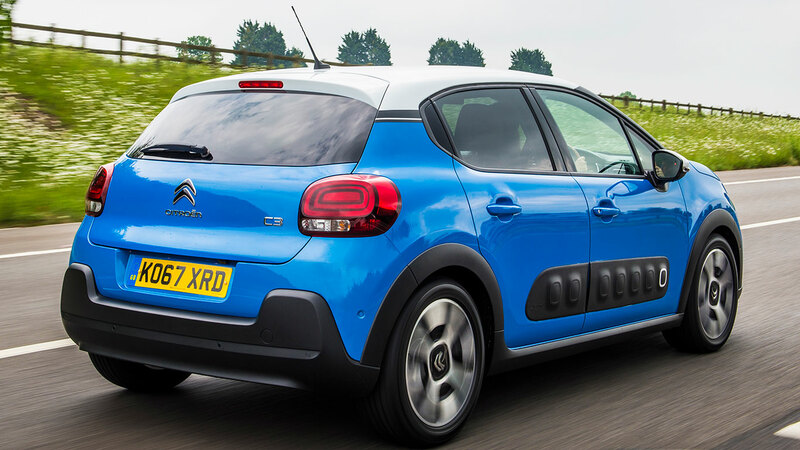 The Warrantywise website features a handy tool which provides an insight into the items most likely to go wrong on each car. 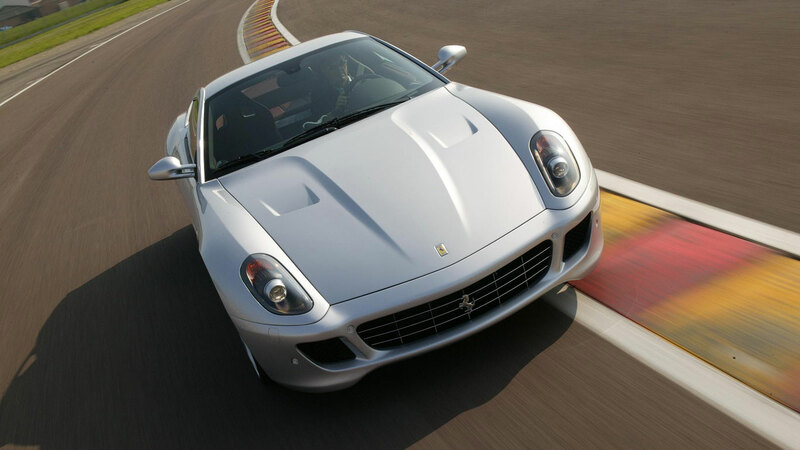 The Ferrari dropdown menu includes everything from a 575M F1 gearbox (£6,161.21) to a 430 sensor (£2,171.09). 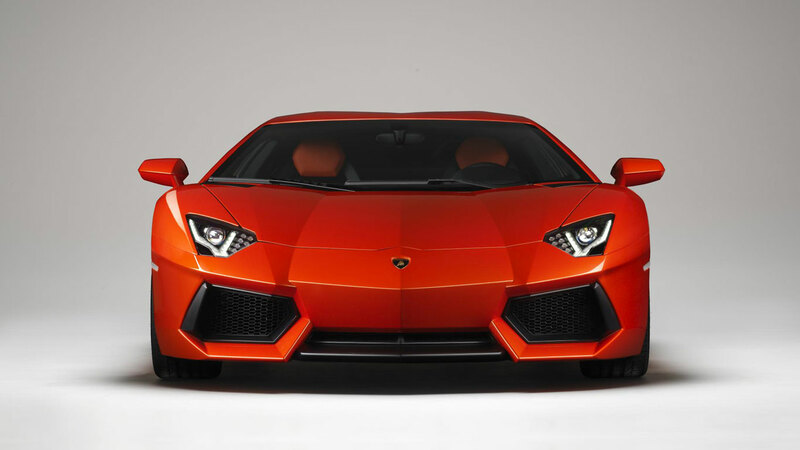 But it’s important to stress that big bills aren’t the preserve of exotic supercars. 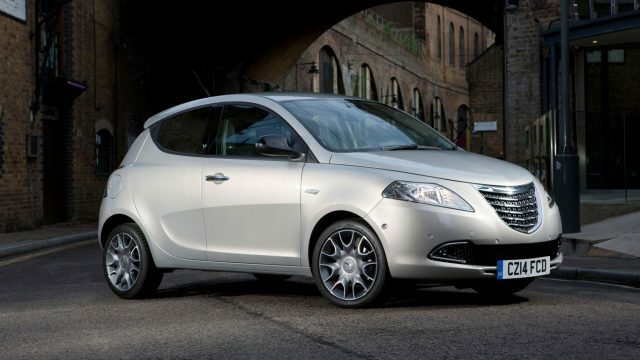 Warrantywise paid an eye-watering £453.29 for a brake caliper for a Daewoo Kalos and £431.10 on a heater matrix for a Daewoo Tacuma. 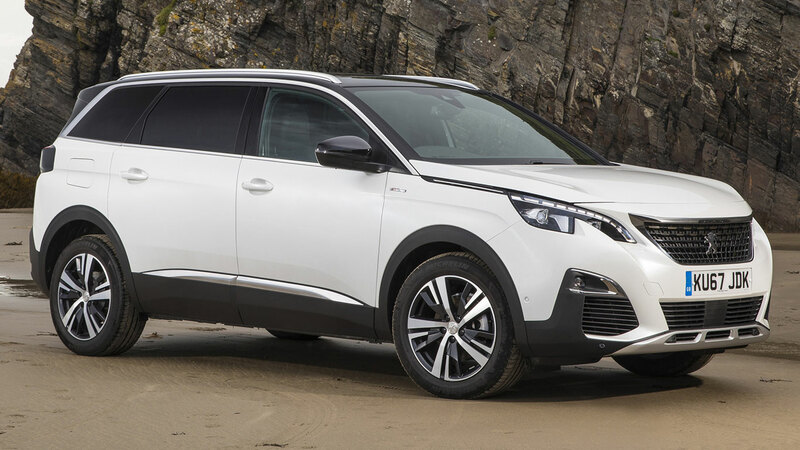 A latch on a Proton GEN-2 cost £320.03, while a new engine on a Kia Sorento weighed in at £2,950. Not quite Aventador clutch money, but in relative terms it’s quite a chunk. 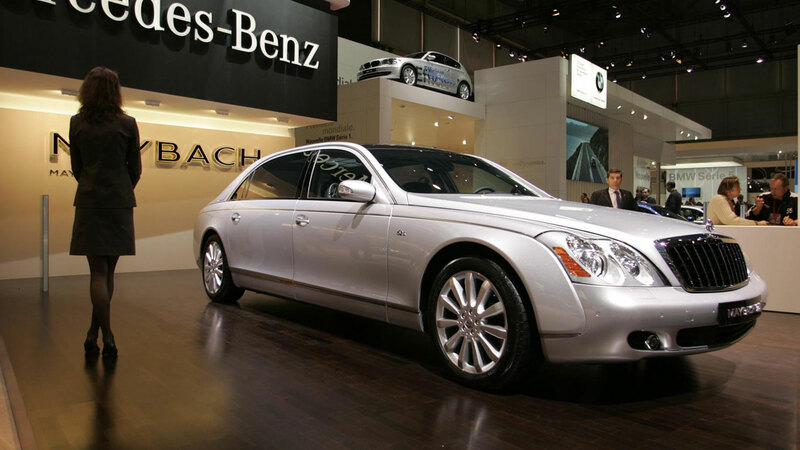 The Maybach 62S is a lumbering beast of car, so you need to ensure the brakes are up to scratch. Spending £6,110 on the braking system should ensure the anchors are fit for purpose. Speaking of luxury motors, we took at look at Rolls-Royce, and discovered that Warrantywise has paid out for repair bills of up to £3,619.74 on the Phantom. 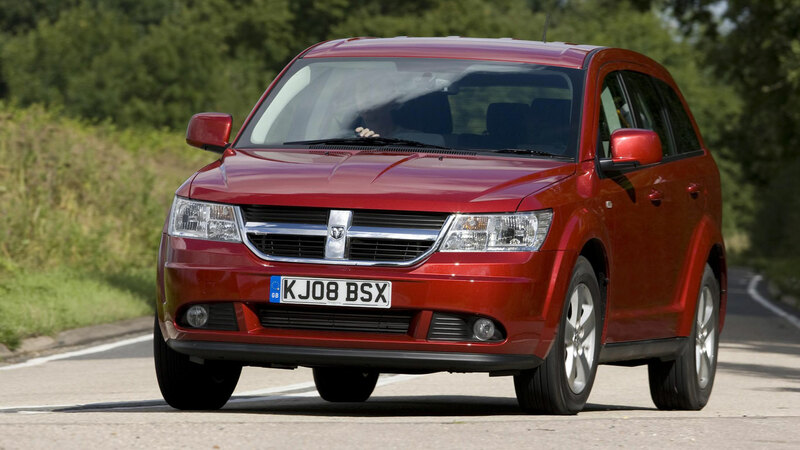 Yes, somebody in the UK actually bought a Dodge Journey, and when the gearbox went, they probably wish they hadn’t. 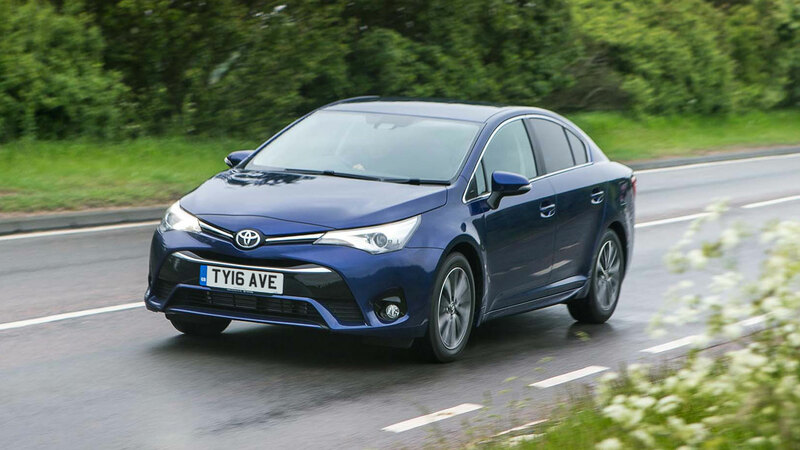 Fortunately for them, Warrantywise covered the cost, which came in at a staggering £6,262. 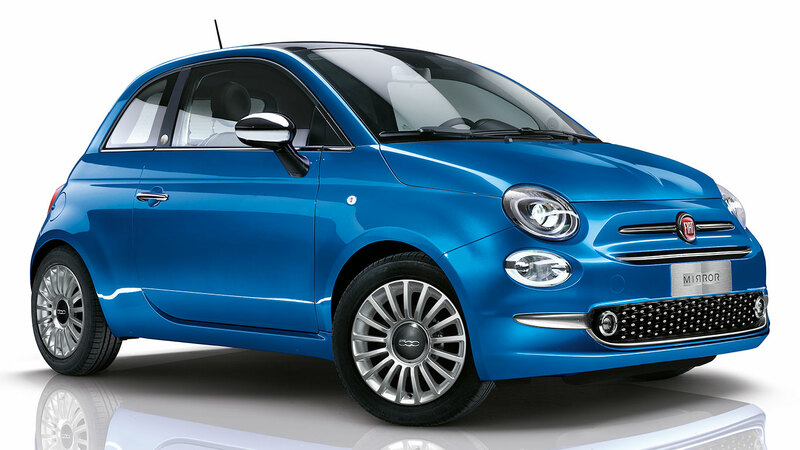 There are many faults listed under the heading of ‘Dodge’, so a warranty is likely to be a good move. 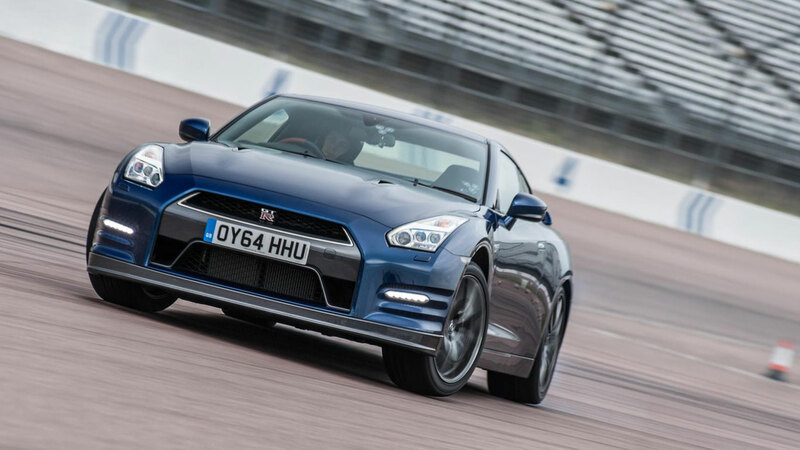 On this evidence, the Nissan GT-R is a supercar-tamer with supercar-rivalling costs, should things go wrong. 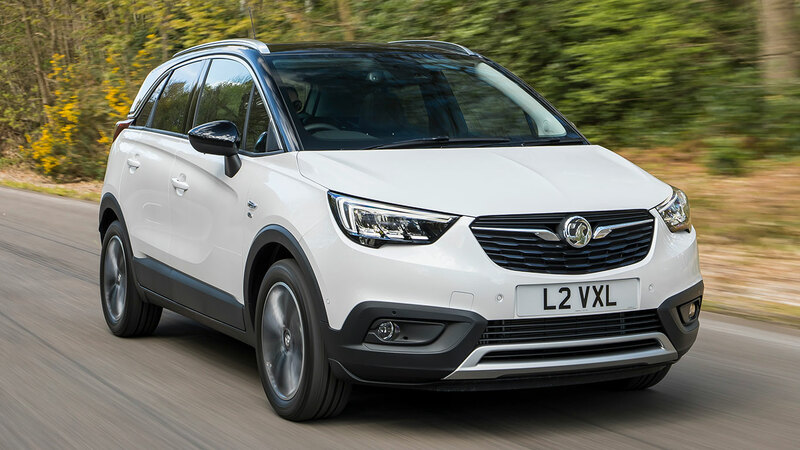 In addition to the £6,271 paid out in 2017, Warrantywise has previously forked out £9,500 and £6,187 for two separate gearboxes, and £4,890 for various engine faults. 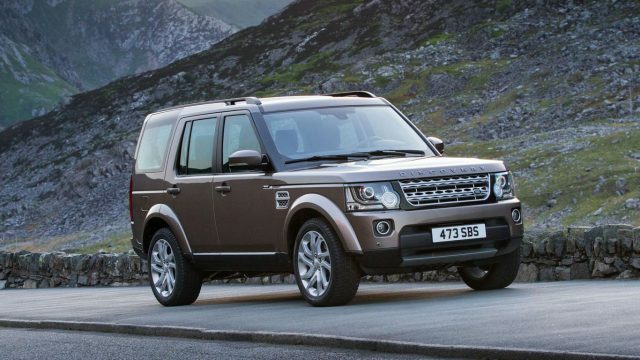 The Warrantywise website makes for grim reading for anyone who has recently purchased a used Land Rover. 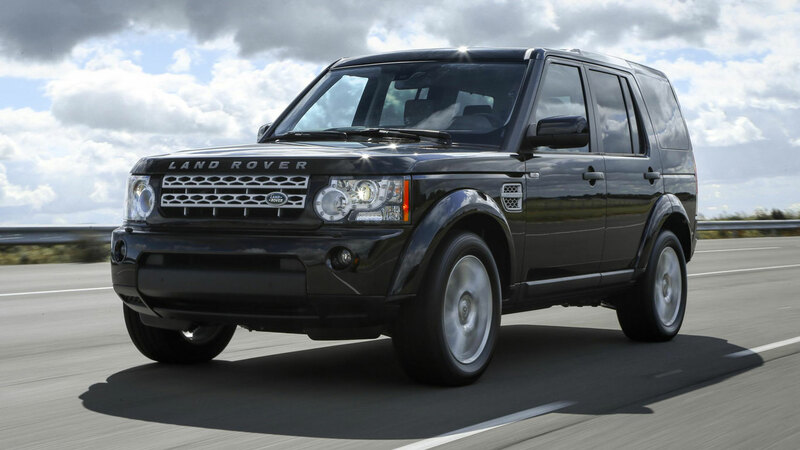 The Range Rover Sport looks particularly troublesome, with the table filled with bills upwards of £2,200. 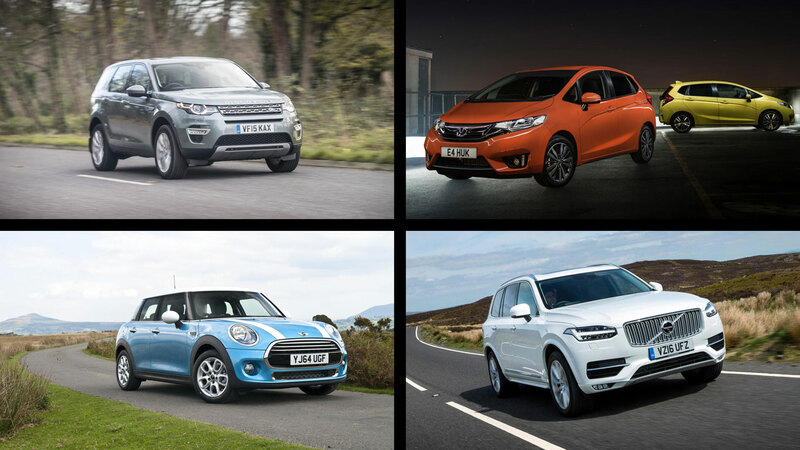 But each one is dwarfed by the £8,527.80 claim for a new Discovery 4 engine in 2017. Ouch. 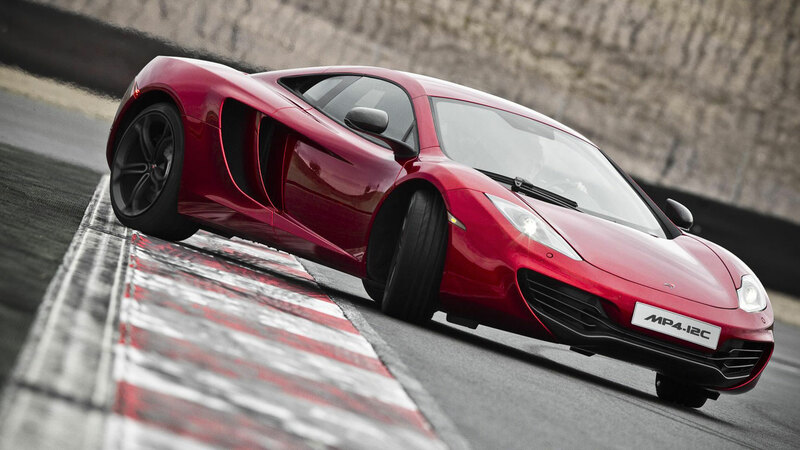 Imagine being faced with the prospect of a new gearbox on a McLaren MP4-12C. We suspect that the round figure is based on the upper limit of the warranty cover, which would suggest that the final bill was even higher. 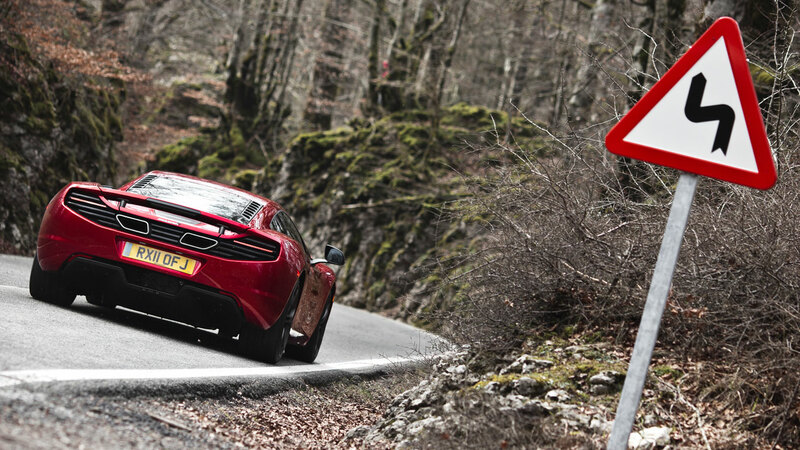 MP4-12C owners might want to wrap their seven-speed dual clutch gearbox in cotton wool. 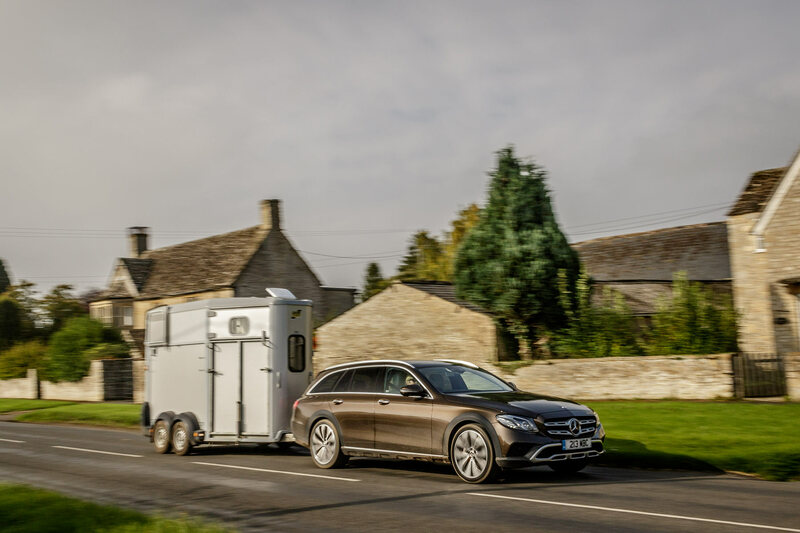 I’m sitting in a £60,000 Mercedes-Benz E-Class All-Terrain, with an imposing twin-axle horse trailer attached to the tow bar. 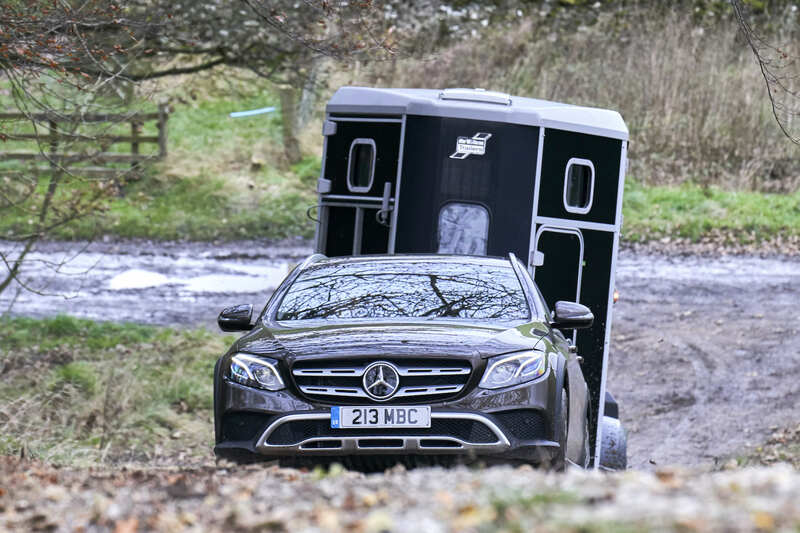 Facing me, on a narrow muddy track, is an identical E-Class All-Terrain with a matching horse trailer. The only good news is that our trailers don’t contain real horses, just ballast to replicate their weight. One of us needs to move to sort the gridlock. I try to reverse, and the horse box decides it doesn’t want to play ball. No amount of steering wheel-twirling, or the calm reassurance of Dave the instructor, is going to fix this. Instead, Dave suggests we tackle the daunting track to our left, climbing up a hill and with trees lining the deeply-rutted route. This turns out to be less intimidating than it might sound. 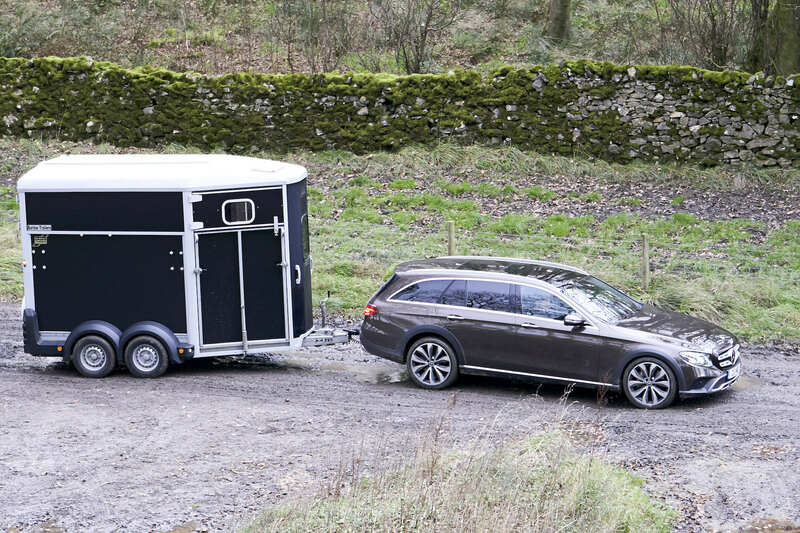 The E-Class All-Terrain isn’t fazed by the slippery hill, despite the trailer and hefty imitation pony inside it, and hauls itself up with ease. It’s the same coming back down, with the E-Class surefooted despite the weight pushing behind it. 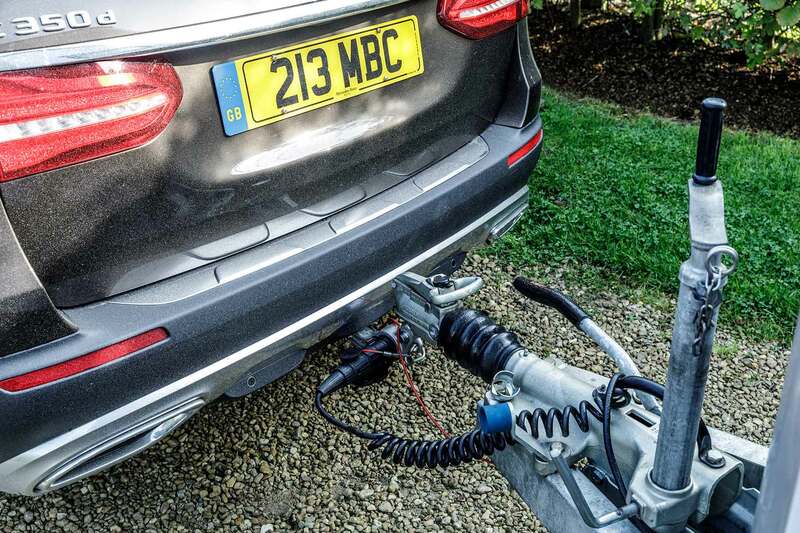 The Mercedes certainly helped flatter my abilities, with a host of cameras and sensors making towing far easier. Having a qualified instructor alongside was perhaps the biggest advantage, saving us and the hypothetical horse from any danger. First-time dramatics aside, towing doesn’t need to be difficult or challenging, and offers up a range of options. 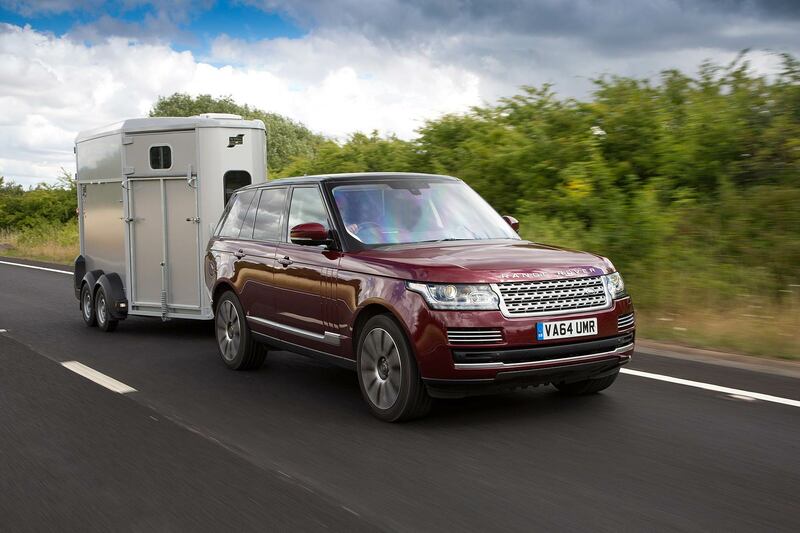 Be it holidaying with a caravan, moving horses around, or even lugging a race car to the track, there are plenty of reasons to start to tow. 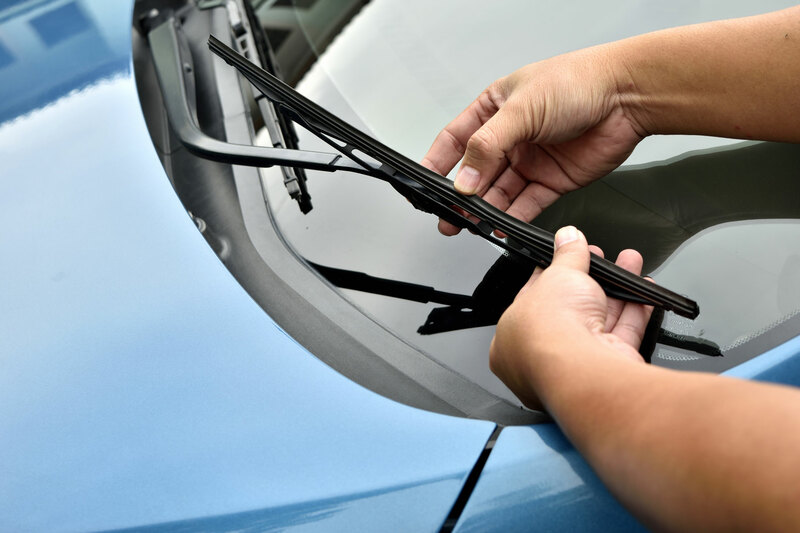 Before you think about hitching up something extra to the rear of your car, there are a few things to consider first. Nobody likes a baptism of fire, especially when it might actually involve your own expensive trailer or caravan. Possibly the most important thing to check before towing is your driving licence, with a range of restrictions based on when you passed your driving test. For those who gained their licence before the 1st January 1997, a Category B licence will entitle you to tow any combination of car and trailer/caravan up to a maximum authorised mass (MAM) of 8,250kg. Obtaining a licence after the 1st January 1997 restricts drivers to a vehicle with a MAM of 3,500kg, towing a trailer of up to 750kg. 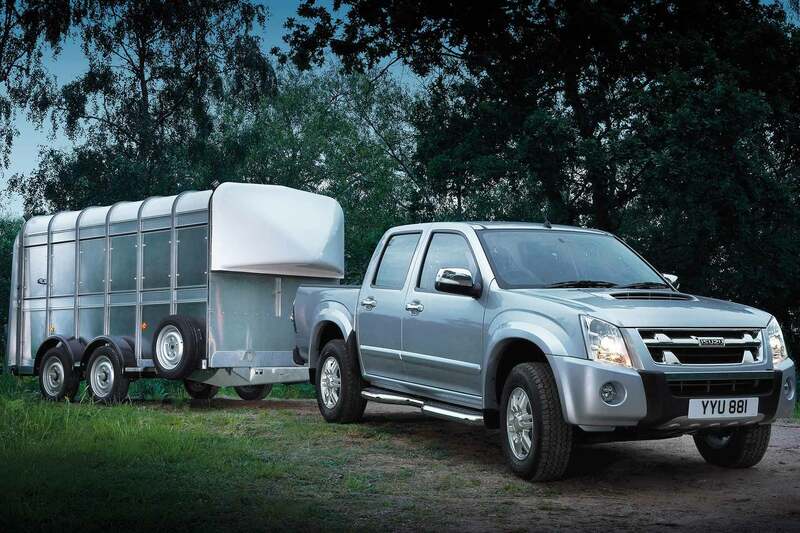 Drivers can also tow a trailer or caravan in excess of 750kg, providing the overall MAM of the combined outfit does not exceed 3,500kg, or have the trailer weigh more than the unladen weight of the towing vehicle. To tow anything above these weights will require taking additional driving tests, with the GOV.UK website having more information, along with guidance on how to determine the relevant vehicle weights. Regardless of what it says on your driving licence, investing in a training course designed to teach the basics of towing is money well spent. Both the Caravan and Motorhome Club and The Camping and Caravanning Club offer bespoke courses, tailored to varying levels of caravanning experience. These cover the basics of health and safety, along with lessons in the art of reversing with a caravan attached. If you’re looking to tow a trailer, the National Trailer and Towing Association will be able to help you find local driving schools offering lessons and coaching. 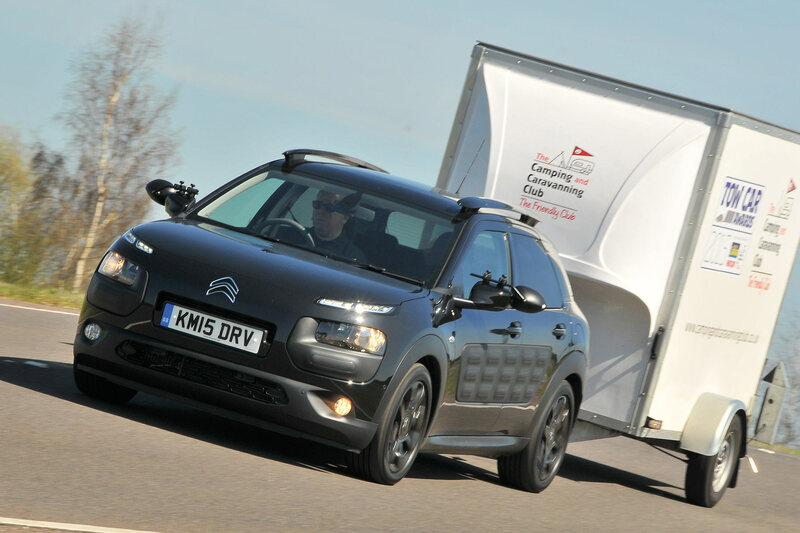 Going fast with a hefty caravan attached to the back of your car might be the least of your concerns, but powerful modern machinery can making towing seem relatively effortless. As such, it’s important to remember that when towing a maximum speed limit of 60mph applies on dual carriageways and motorways, with 50mph on single carriageway routes. Towing also prevents you from using the furthest right-hand lane of a three-lane motorway. Try to be courteous to other road users if you develop a queue of traffic behind while towing. Finding a safe place to pull over and let others pass is good practice. 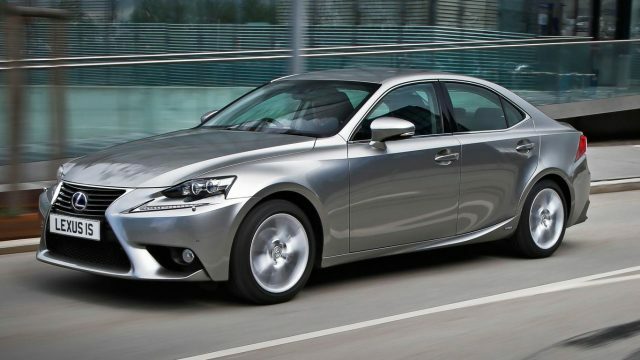 Distilling the best car to tow with requires considering a number of different factors. 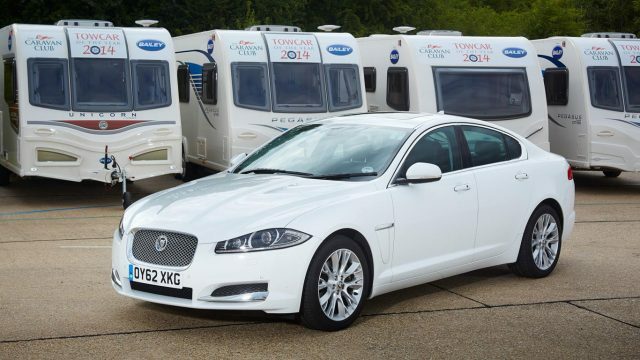 From matching the permitted towing weight with your intended caravan or trailer, to ensuring that it’ll have enough power and torque to enable the whole outfit to move at a reasonable pace. 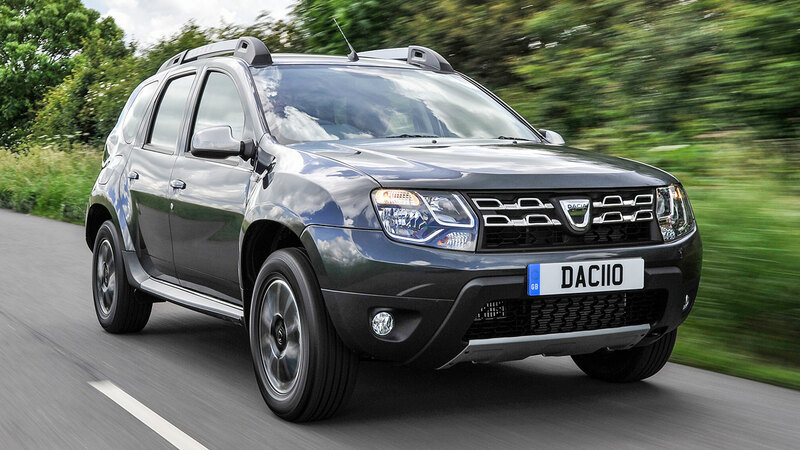 Diesel-engined 4×4 SUVs have become the preferred choice for caravanning in recent years, matching sizeable towing capacity with the ability to escape from a muddy campsite. 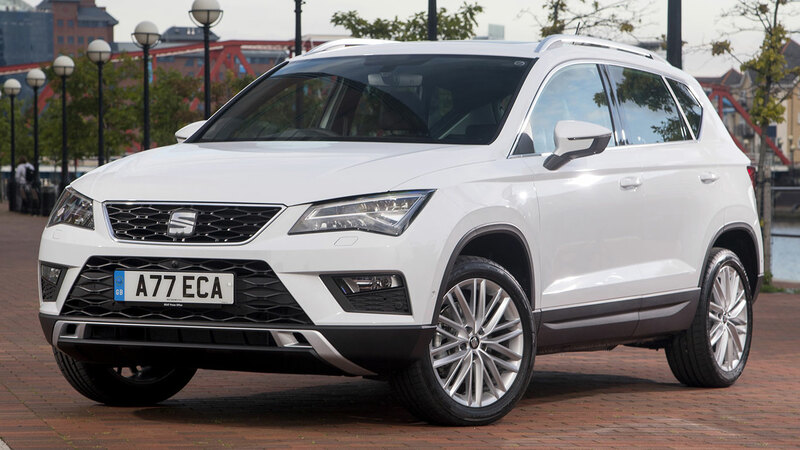 It might explain why SUVs took almost every prize in the latest Towcar of the Year Awards, with the Skoda Kodiaq taking the top prize. 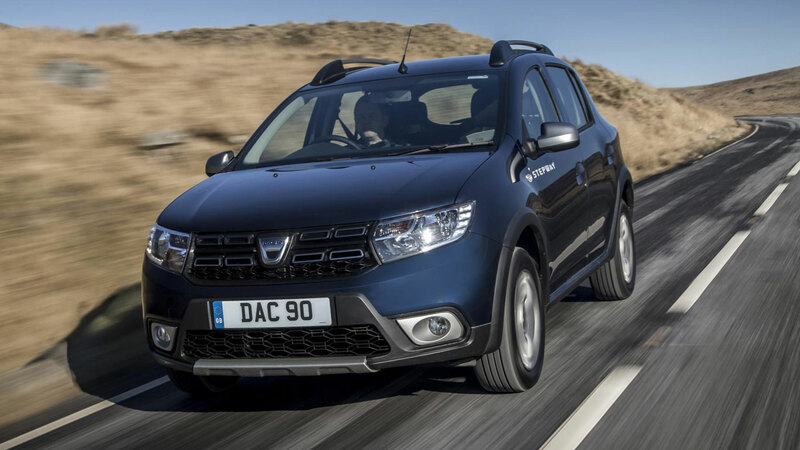 If you’re concerned about buying a diesel, however, there are alternative options. 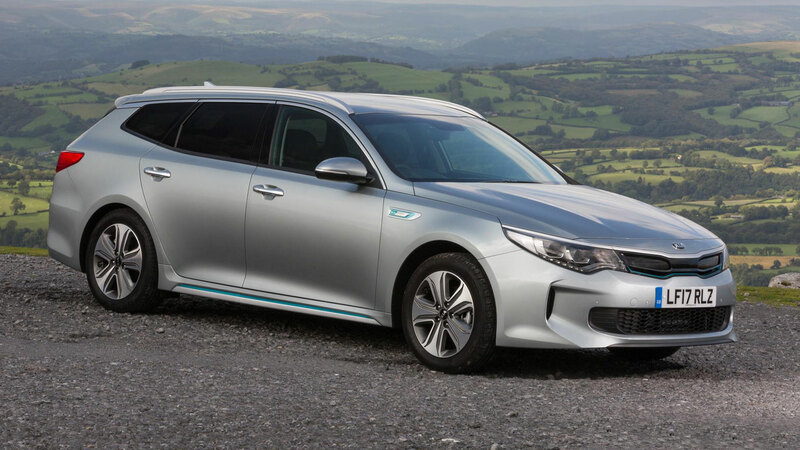 Both the plug-in hybrid Mitsubishi Outlander PHEV and electric Tesla Model X are capable of towing a caravan. 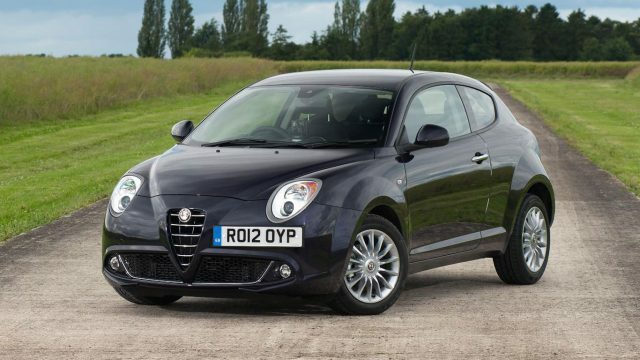 Buying a car with a reversing camera, especially one with bespoke modes for helping hitch a trailer, may also influence your decision making. 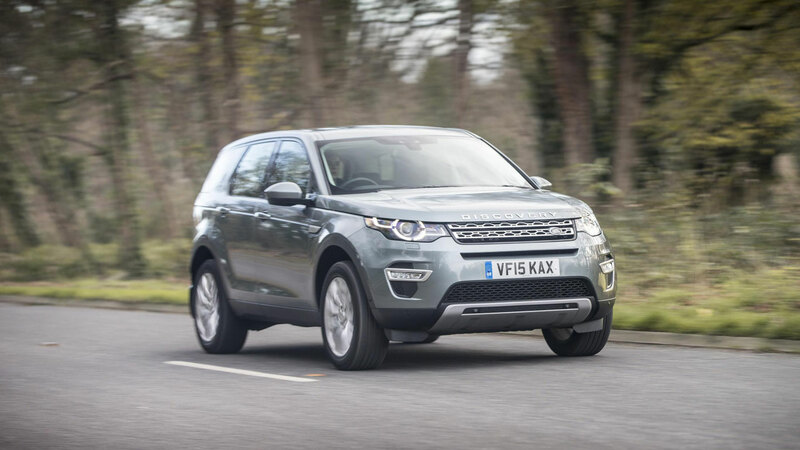 A number of manufacturers, such as Volkswagen and Land Rover, also offer ‘Trailer Assist’ features that use semi-autonomous tech to make reversing easier. With so much technology loaded into modern cars, adding a tow bar is not a simple case of bolting on the first one you find. 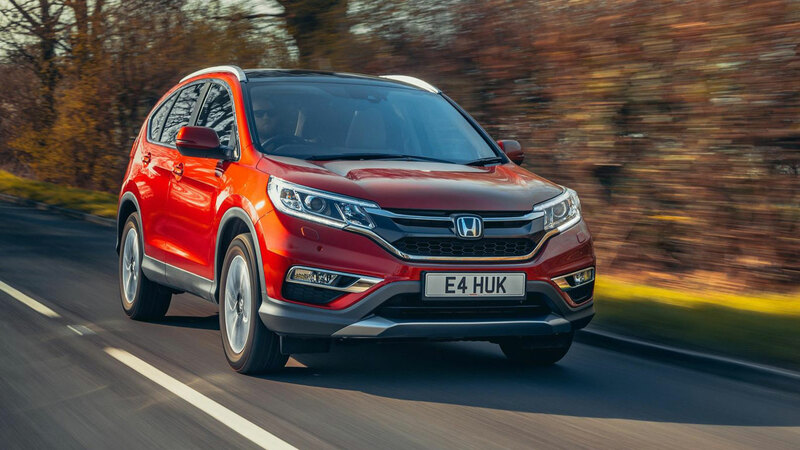 There is also legislation to take into account at present if you own a vehicle registered after the 1st August 1998, which must use an EC type-approved tow bar. 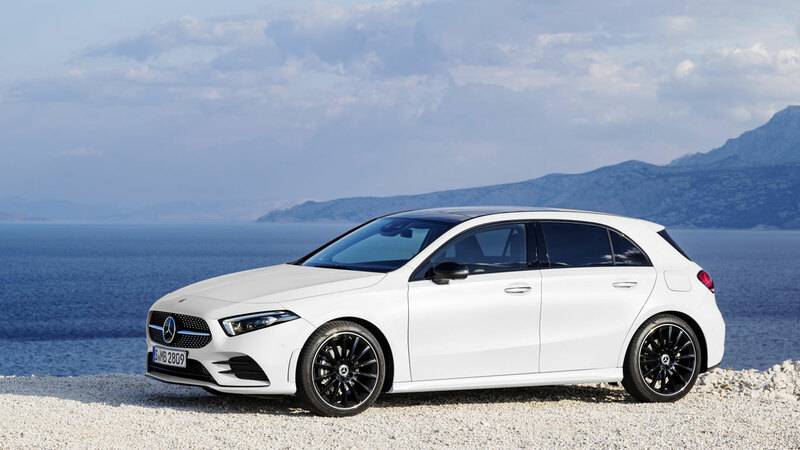 Most car manufacturers offer tow bars to fit their own specific models, and can even offer factory-fitted versions if ordering a car from new. 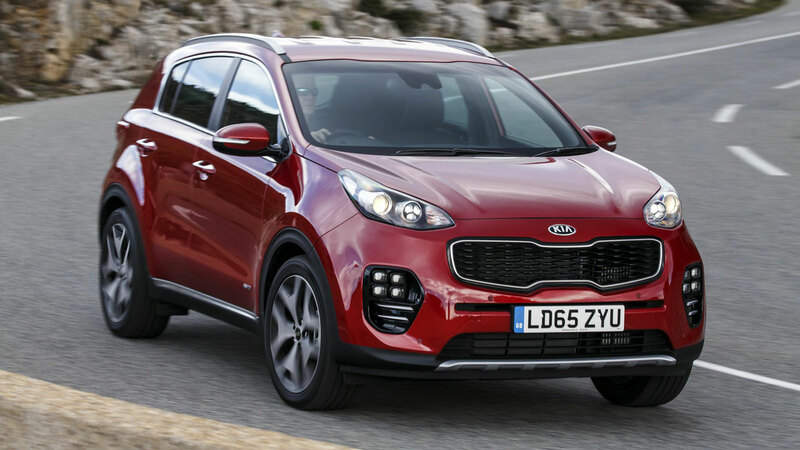 Retractable or removable tow bars are popular, leaving a neater appearance to the rear of the car when not being used. 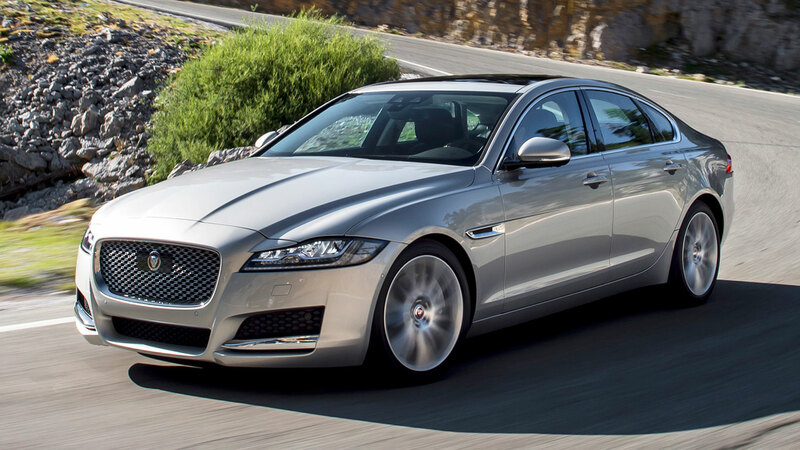 A wealth of aftermarket suppliers also exist for those wanting to avoid dealership pricing. Thefts of trailers, particularly in rural areas, are endemic and often combined with the theft of plant and construction machinery. The fact they can be easily attached to the back of a car and driven away makes them an easy target. Caravans are also desirable, with estimates suggesting up to 3,000 are stolen every year in the UK. All new caravans produced since 1992 have been registered with the CRiS database, making it easier to track and trace them if stolen. RFID tags are also used to allow easier identification by the police, even if criminals alter visible chassis numbers. Heavy-duty wheel clamps, hitchlocks, and anchor posts can all be used to make it harder to steal your caravan or trailer. Just like with a car, alarms and tracking devices can also be fitted. Most importantly, don’t forget to insure your trailer or caravan, even though it is not a legal requirement. Cover is recommended for protection should your latest purchase be stolen, or damaged whilst being towed. Most car policies do not automatically cover either trailers or caravans when being towed, or will have restrictions on cover. Check with your insurer, or speak to a specialist broker. Research by the Good Garage Scheme reveals that 42% of drivers put off getting their car serviced because of the cost – a worrying stat as winter approaches and a neglected car could be more dangerous than ever. To combat this, it’s launching a campaign with racing driver and ex-Top Gear presenter Tiff Needell to encourage motorists to have their cars checked over by professionals this winter. Alongside the winter car check, which includes an inspection of the coolant, engine oil, tyres, wiper blades, windscreen and lights, Needell will also be promoting the scheme’s service plans. 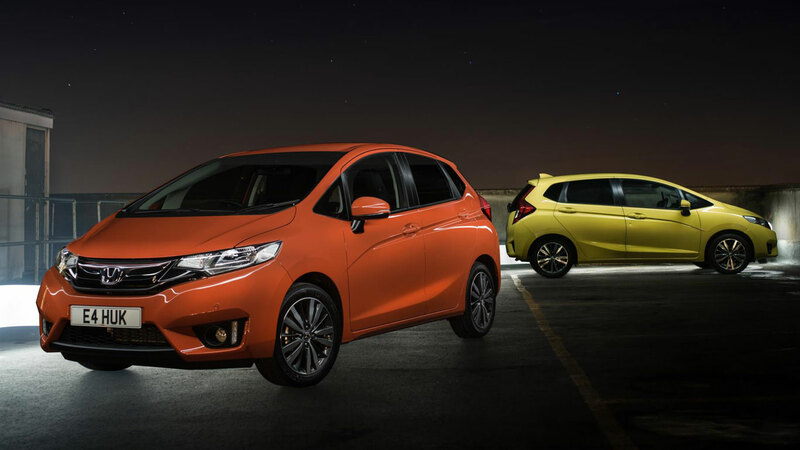 Available for MOTs and servicing, these split the cost over 12 months as interest-free monthly payments – meaning you can pay for your car’s maintenance just like you would a utility bill. 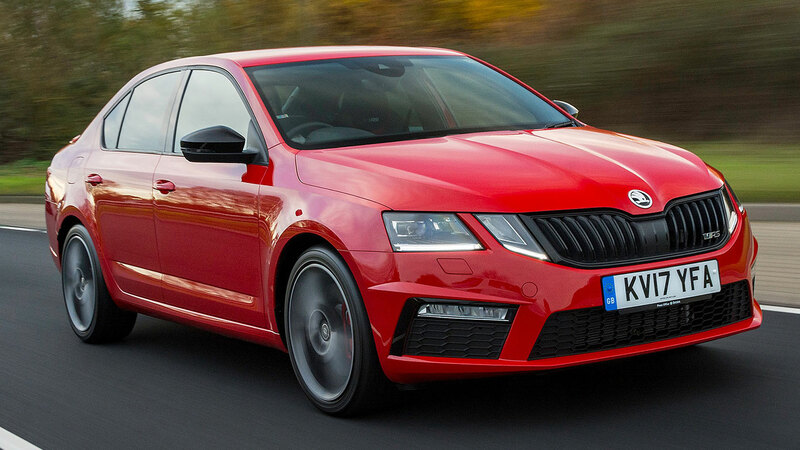 A search on the scheme’s website reveals you can take out a service plan for a 10-year-old Skoda Octavia 2.0-litre petrol for £23 a month over 29 months. 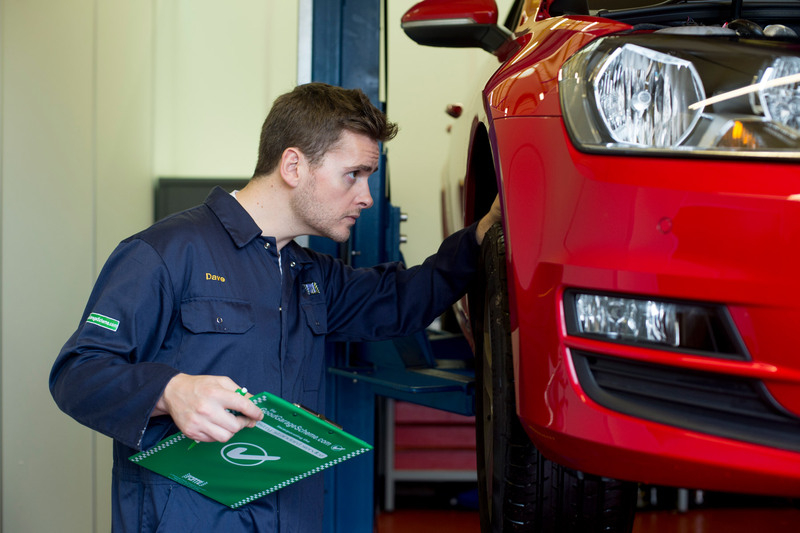 This includes two standard services and interim service – while, for an extra £5.14 a month, a Good Garage Scheme member will MOT your car for you. 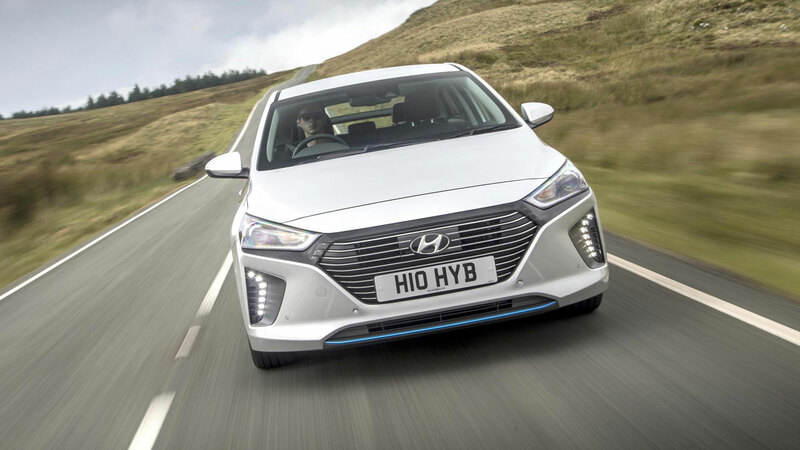 “Service Plans provide a simple, flexible way to budget for servicing and MOT requirements by spreading the cost throughout the year in interest-free monthly instalments, just like any other household bill,” says the scheme’s spokesperson, Simon Wade. It’s a legal requirement for all cars over three years old (unless they’re exempt – e.g. vehicles made before 1960) to pass the yearly MOT roadworthiness test. 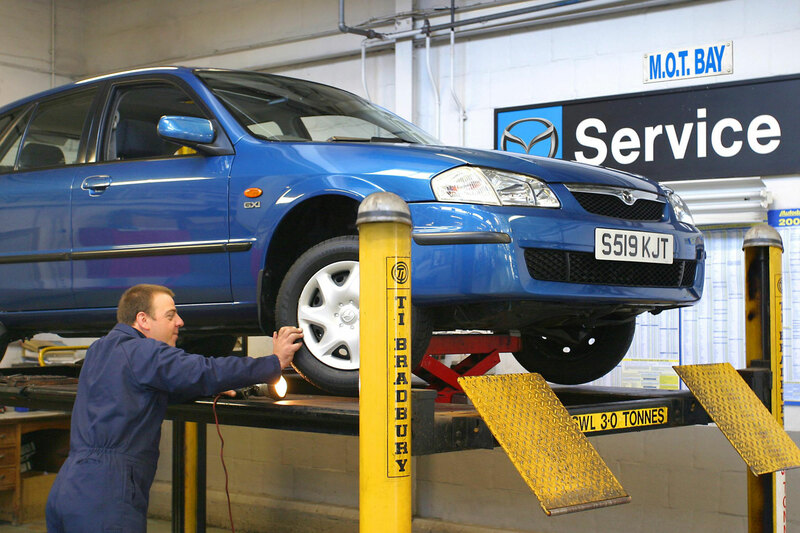 While servicing isn’t compulsory, it’s a good idea to keep your car in good condition and prevent breakdowns. 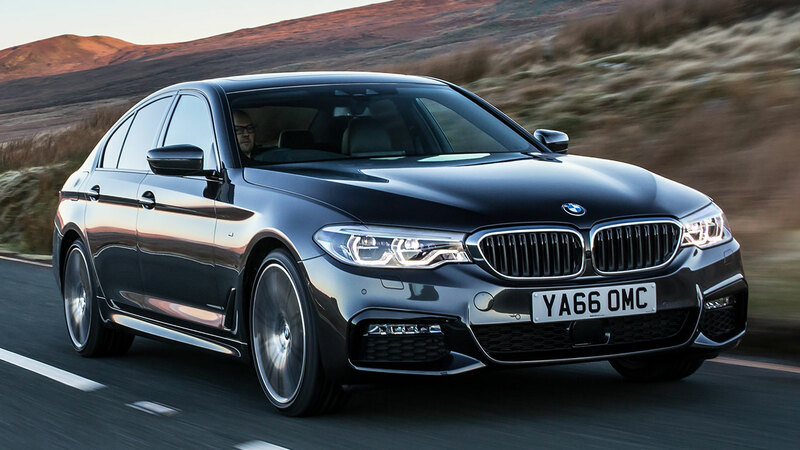 If your car is still in warranty, skipping a service could void this – although many car manufacturers offer servicing packages to make it more affordable while the car is still nearly-new.